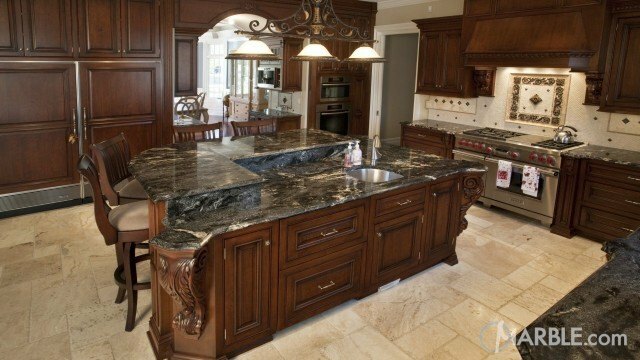 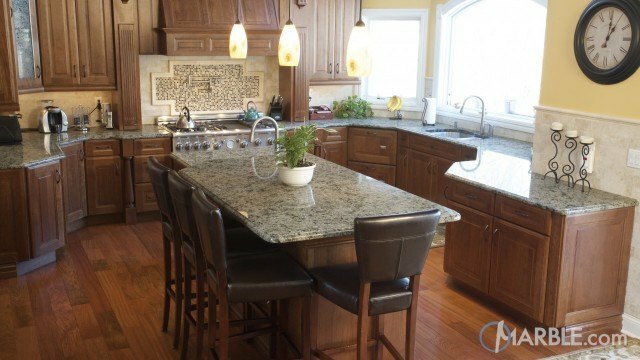 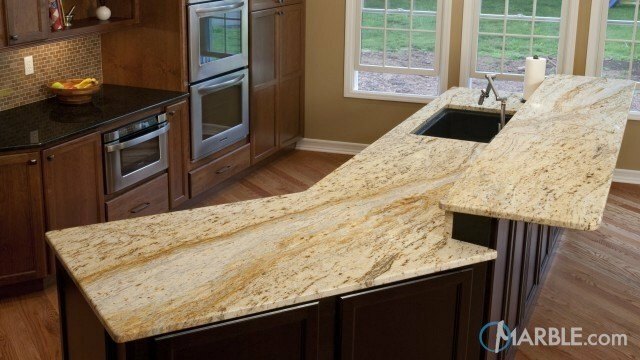 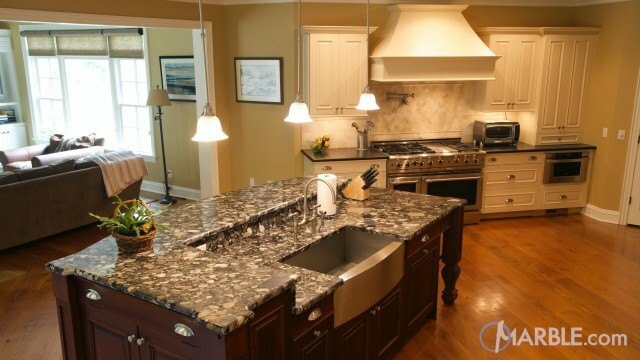 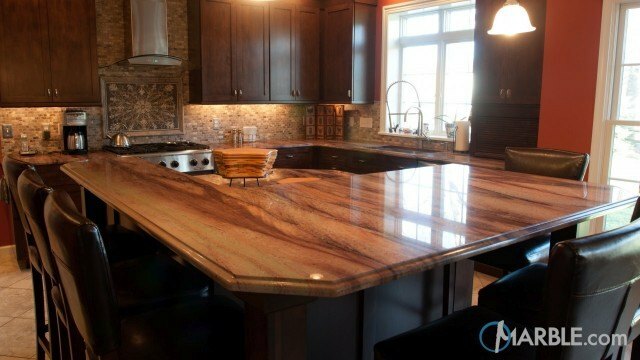 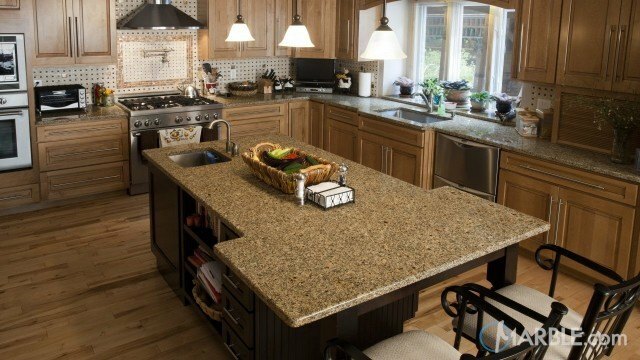 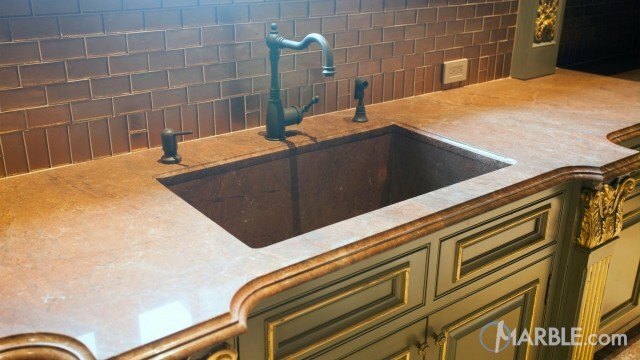 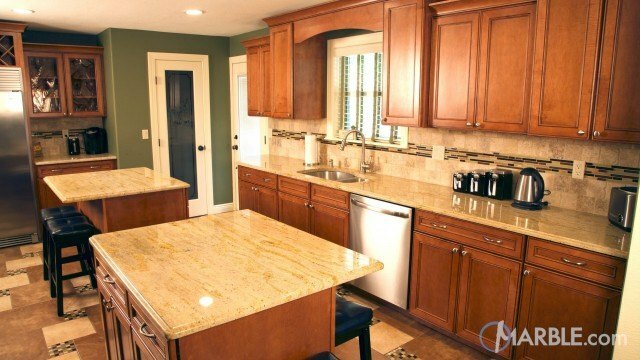 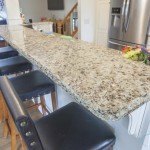 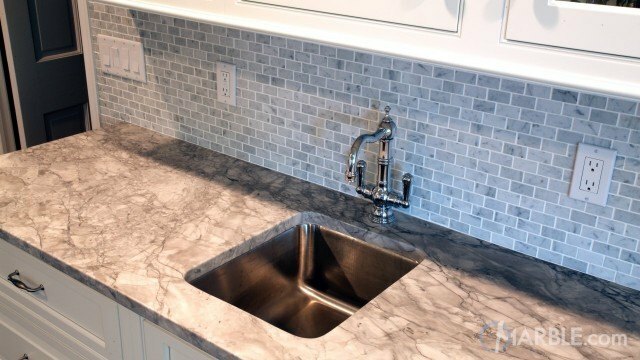 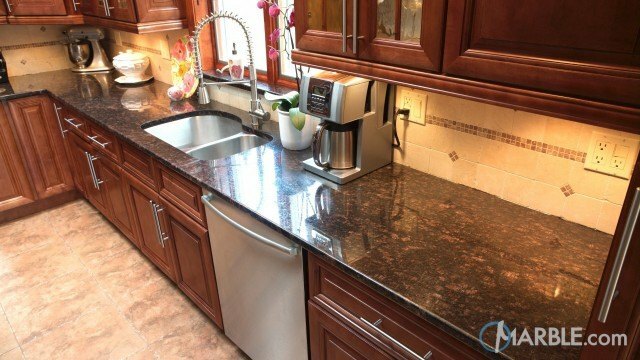 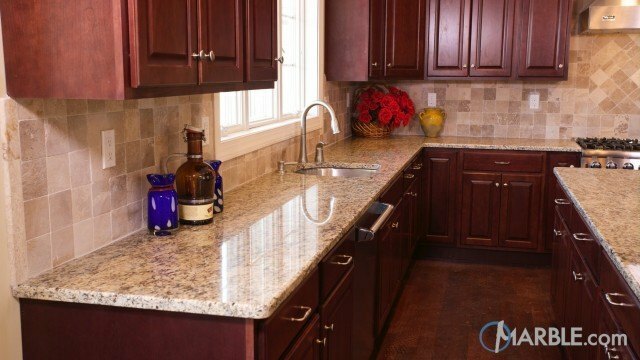 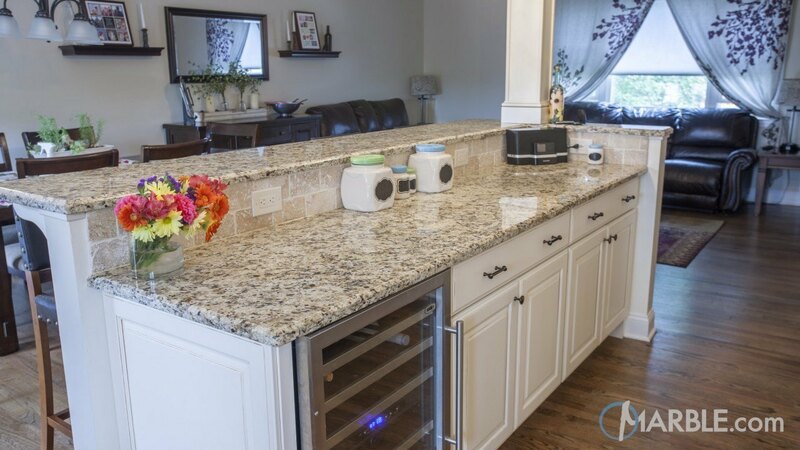 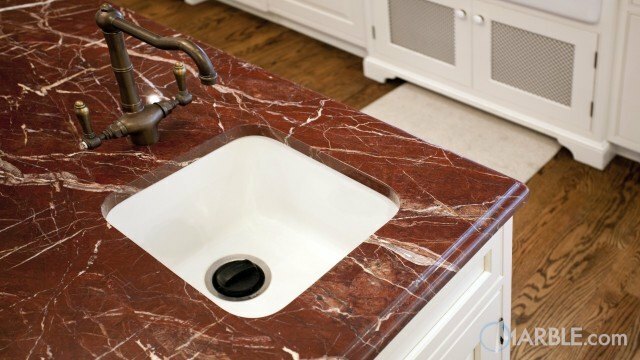 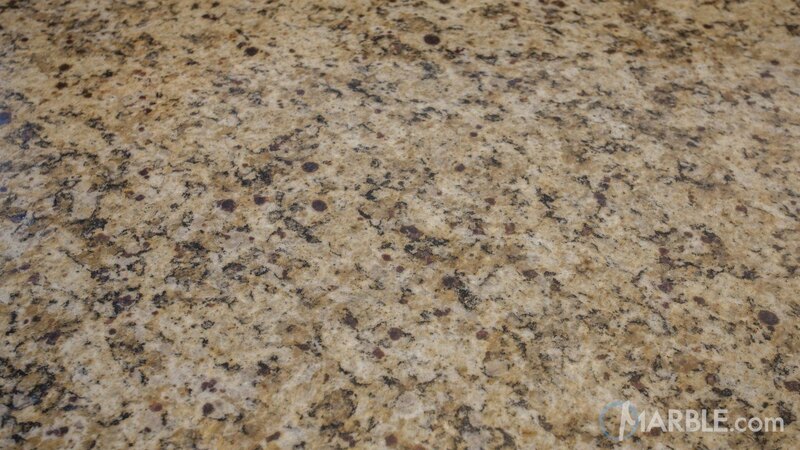 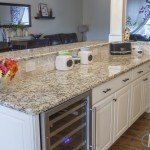 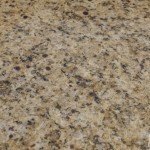 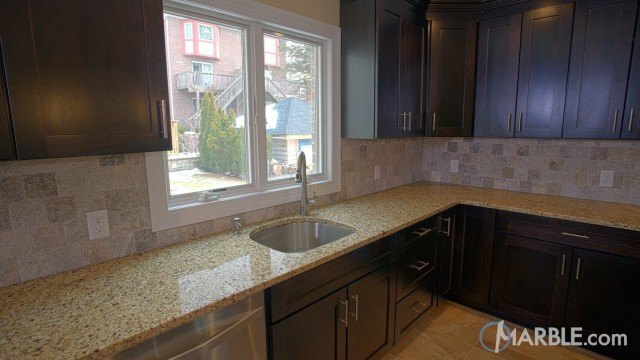 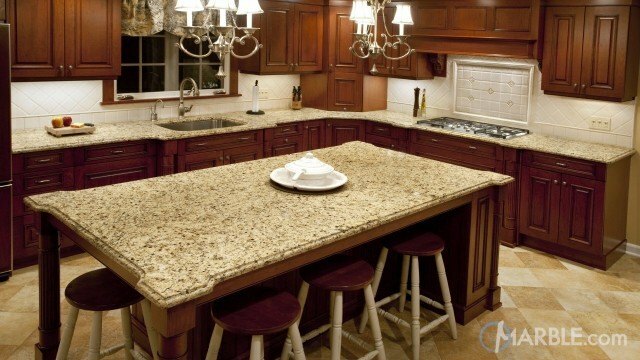 Giallo Napole Granite Kitchen Countertop with A Dual Layer. 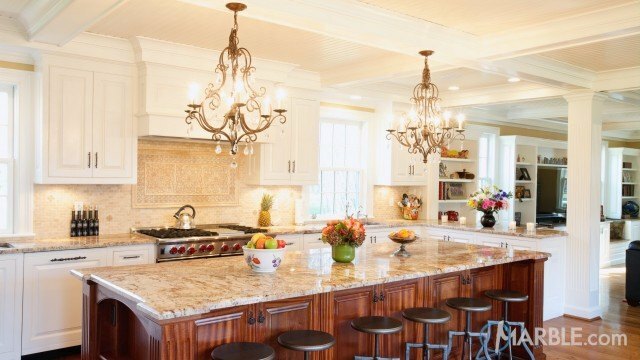 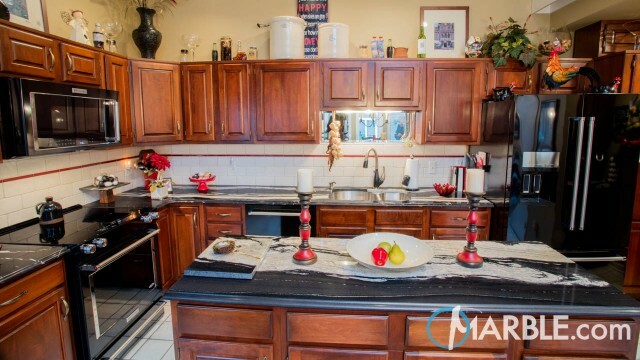 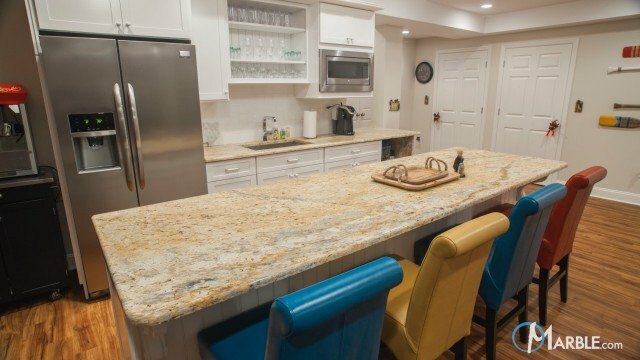 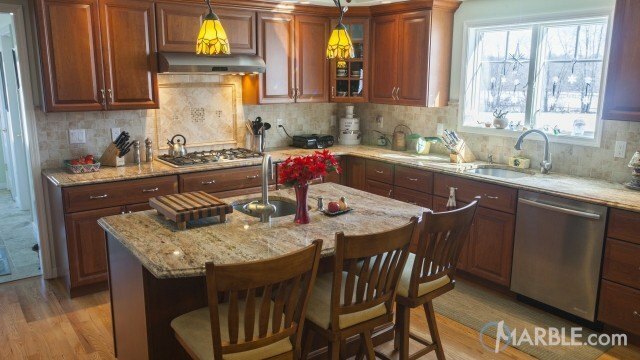 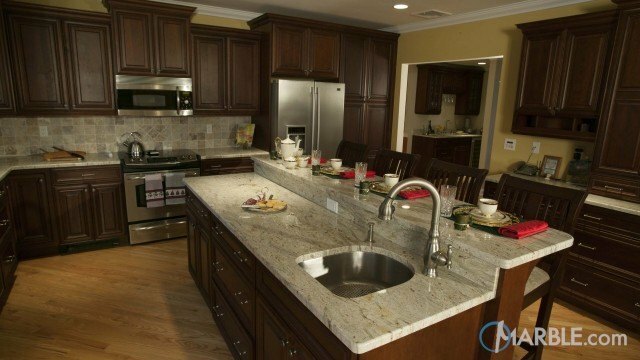 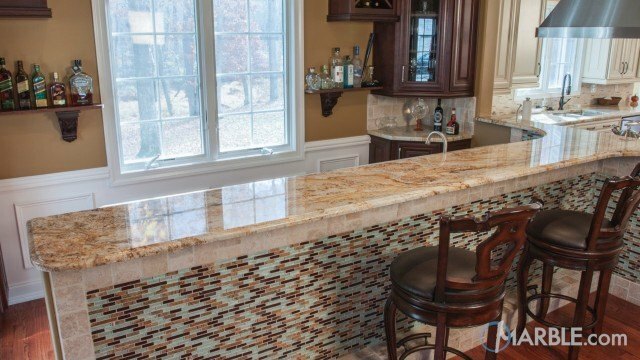 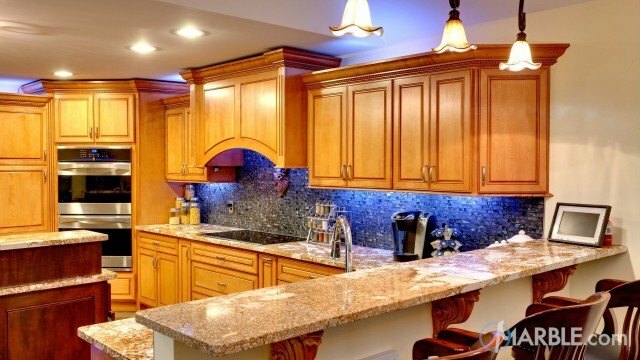 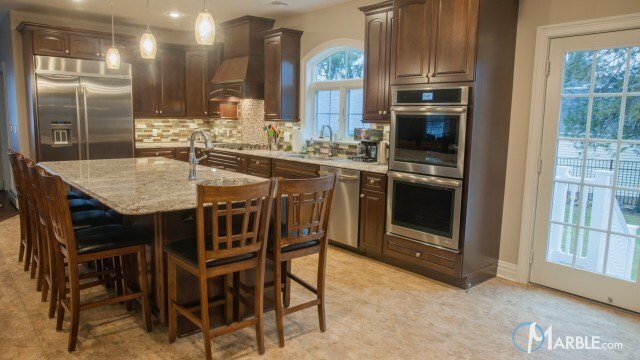 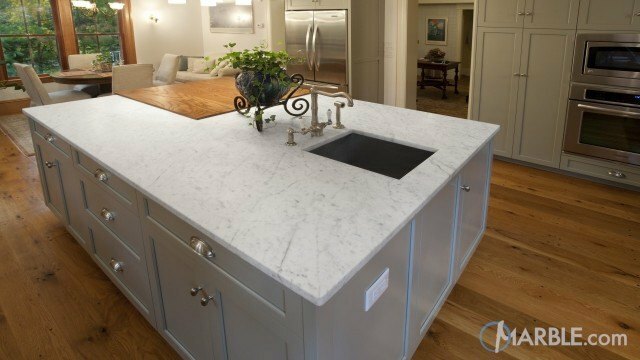 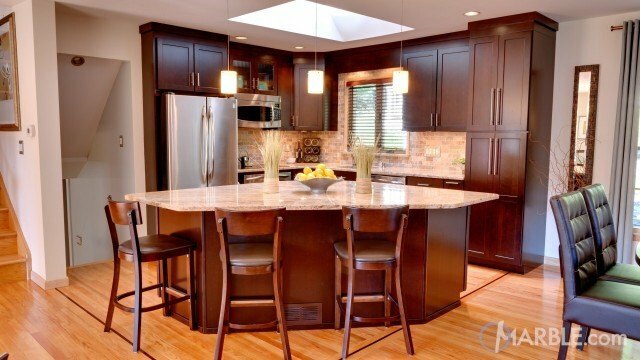 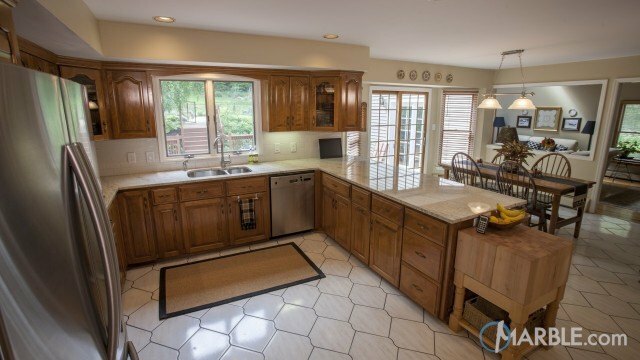 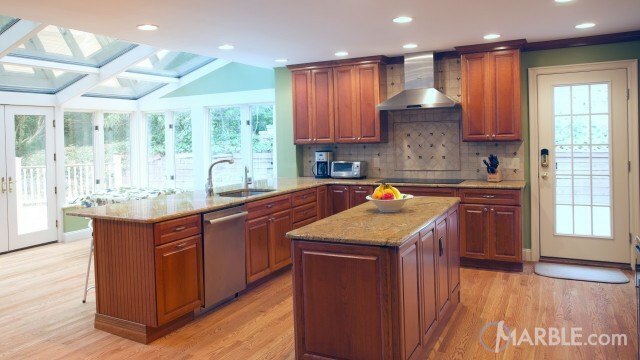 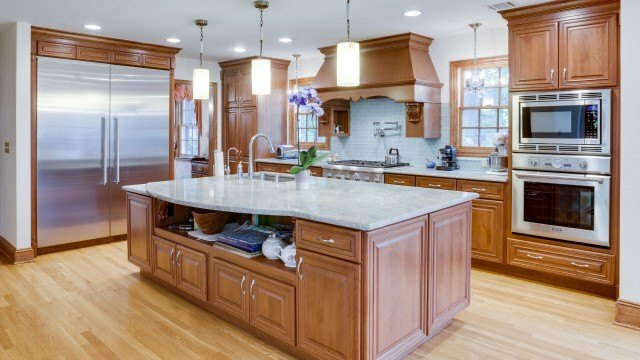 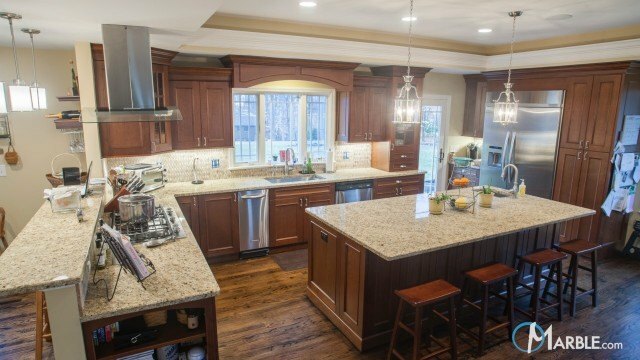 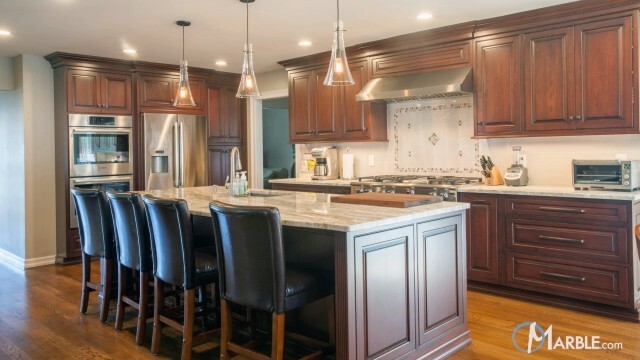 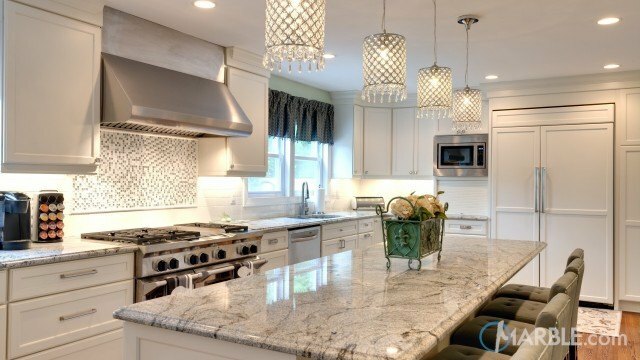 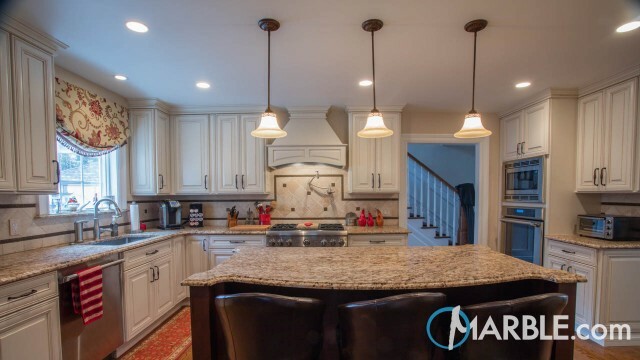 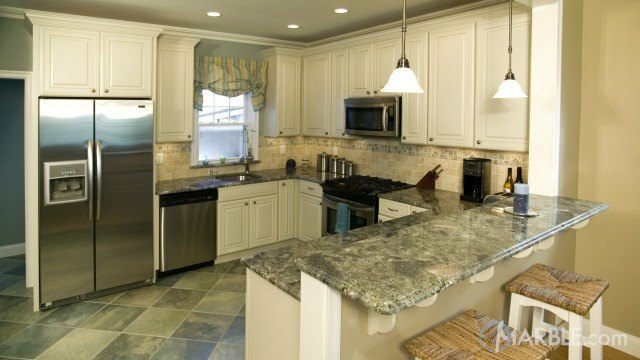 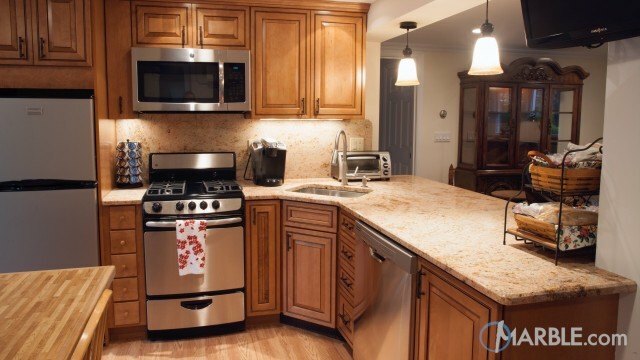 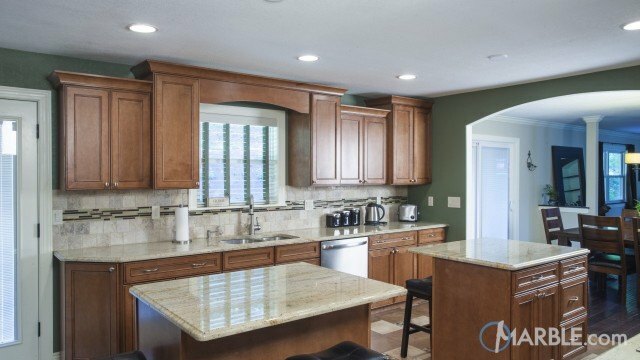 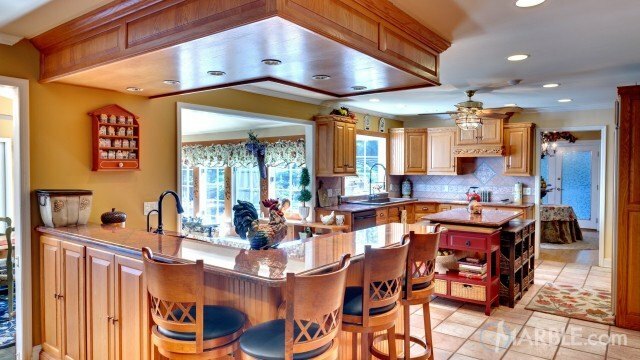 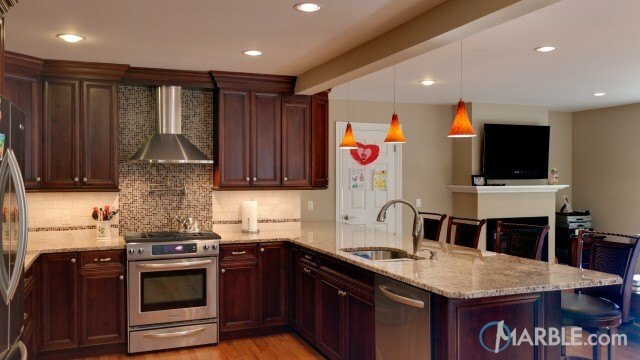 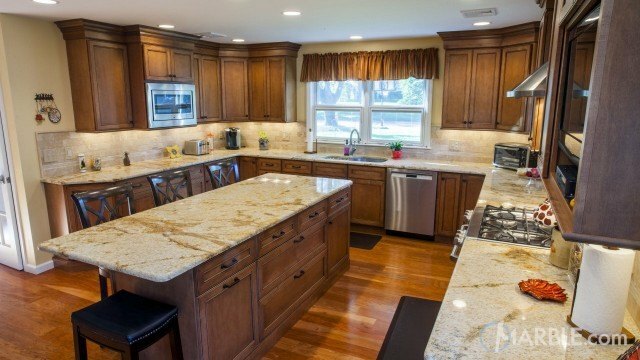 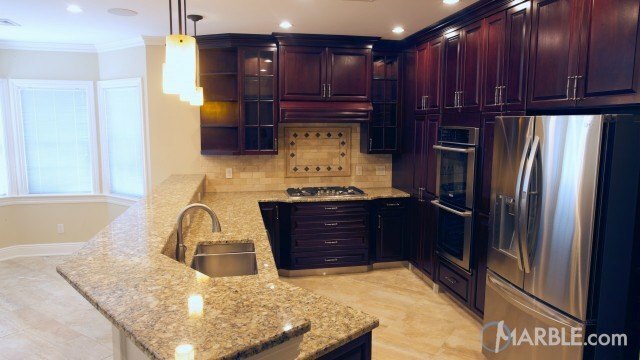 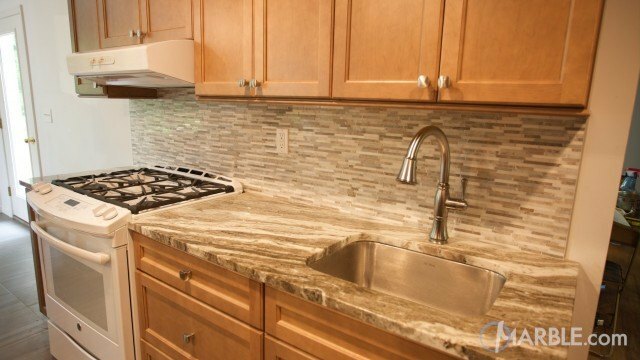 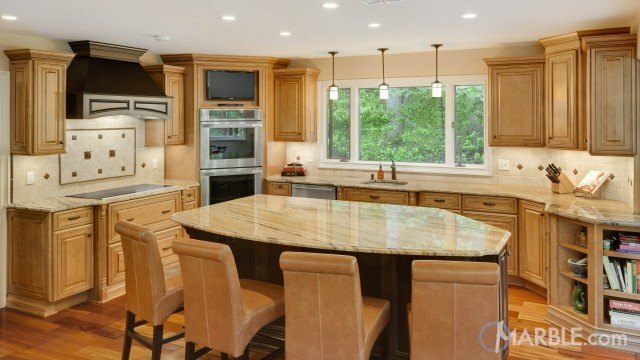 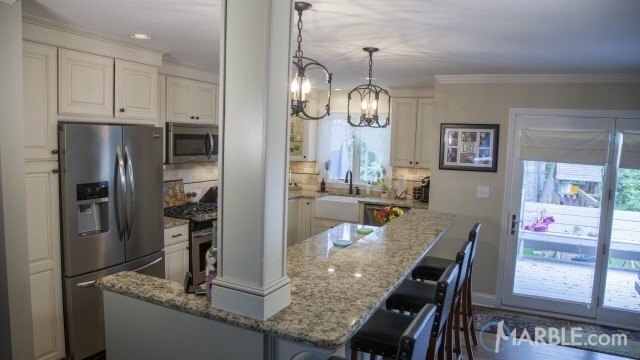 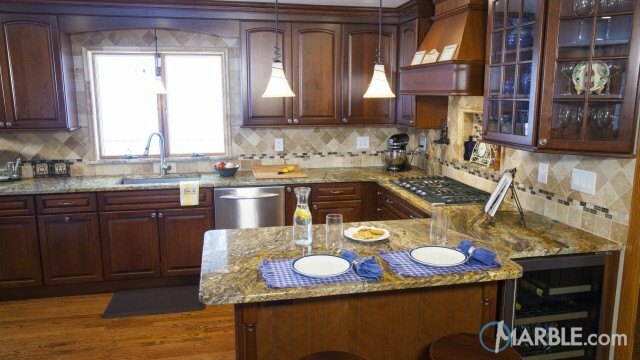 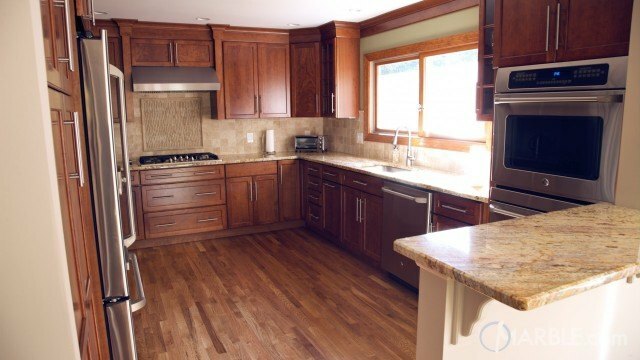 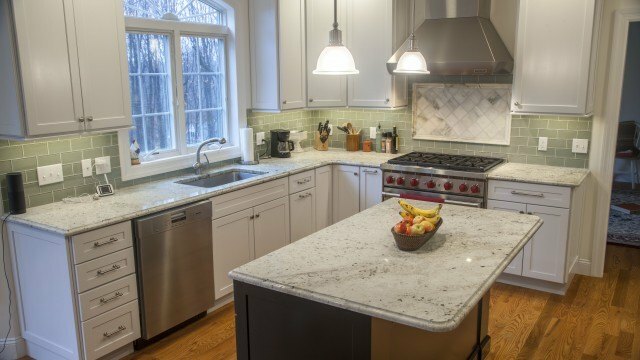 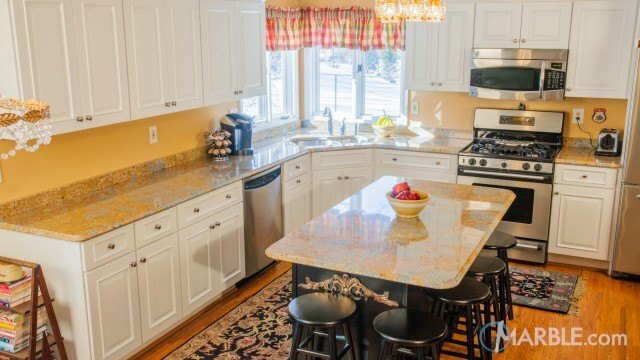 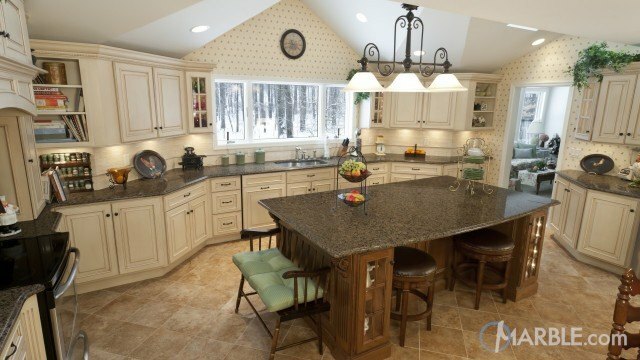 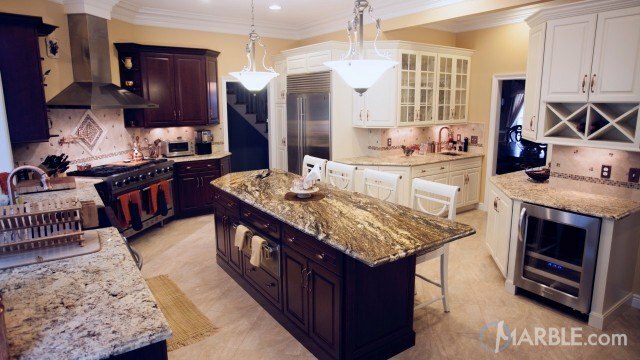 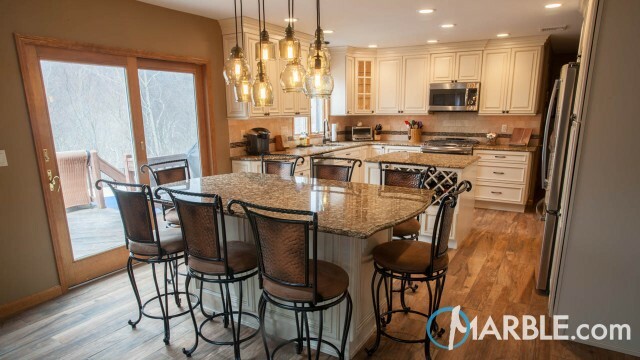 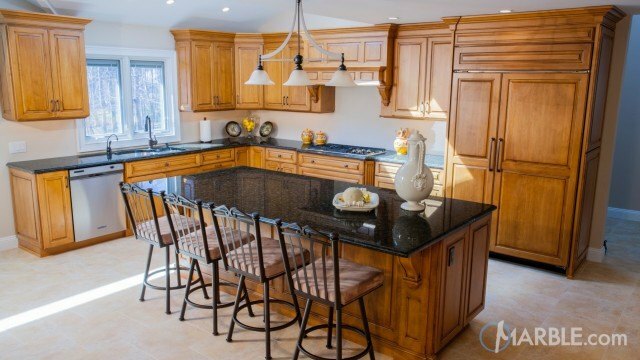 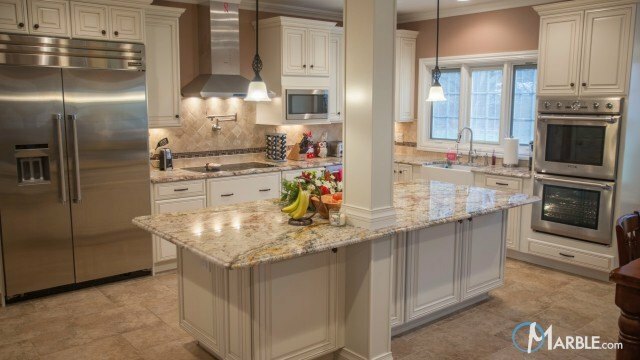 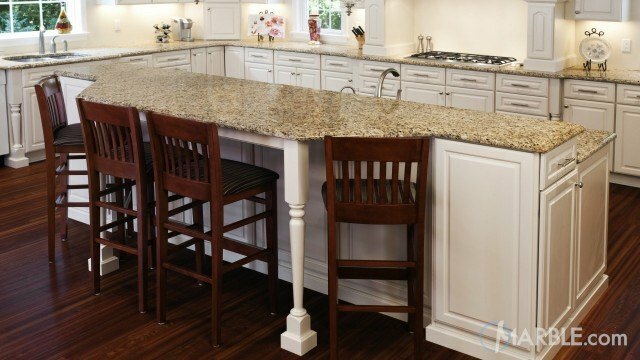 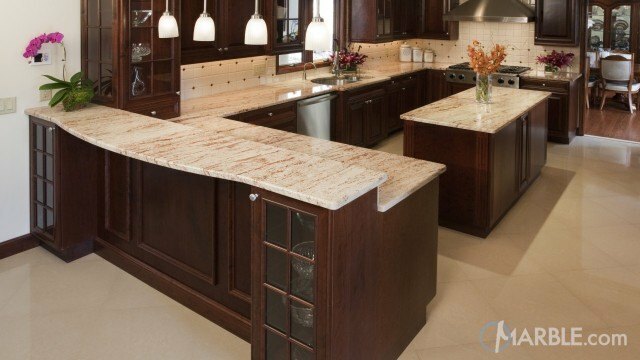 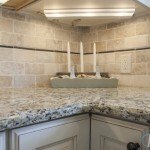 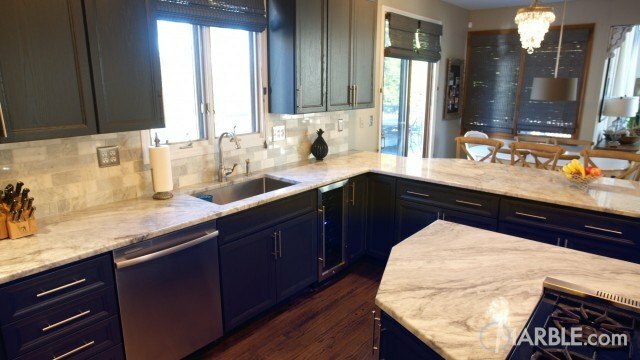 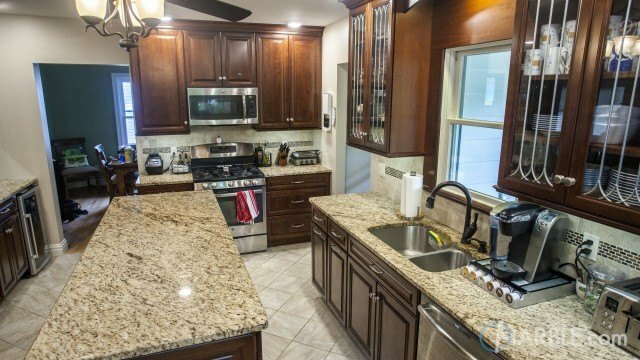 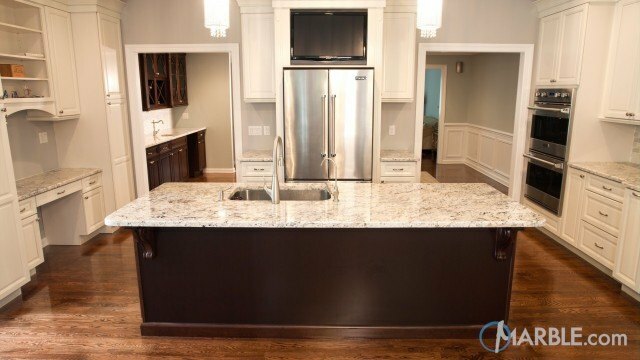 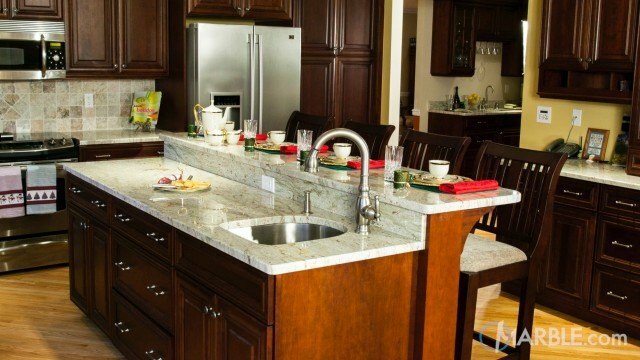 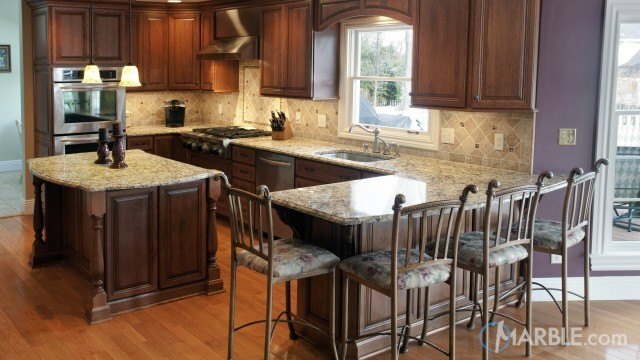 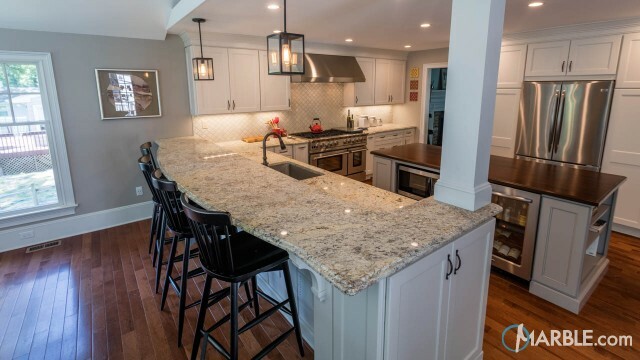 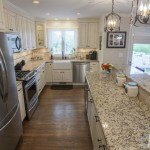 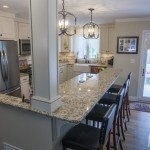 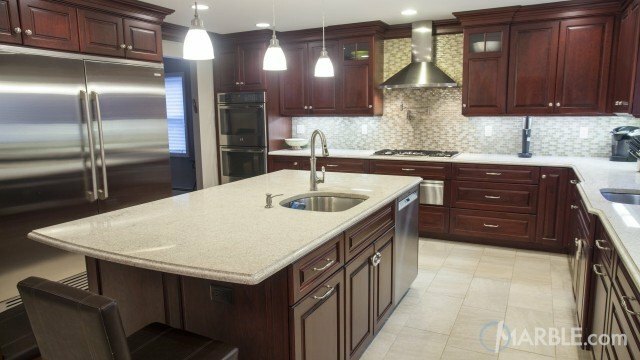 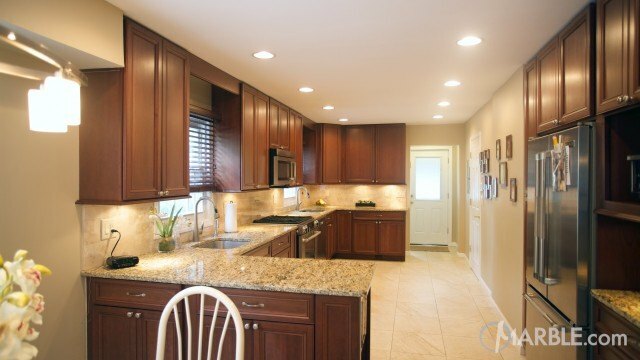 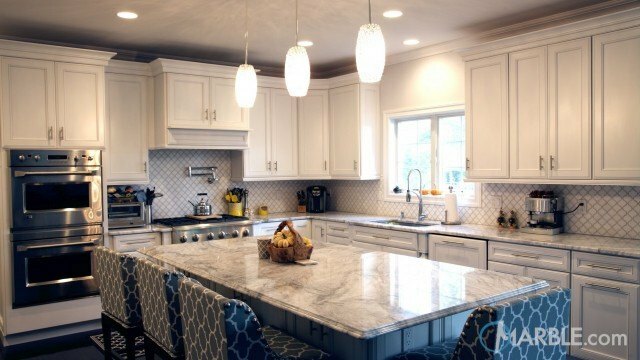 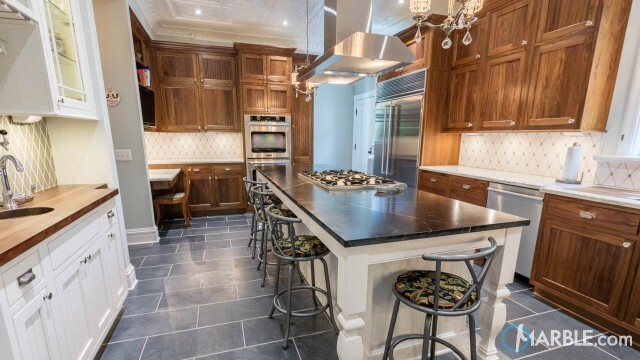 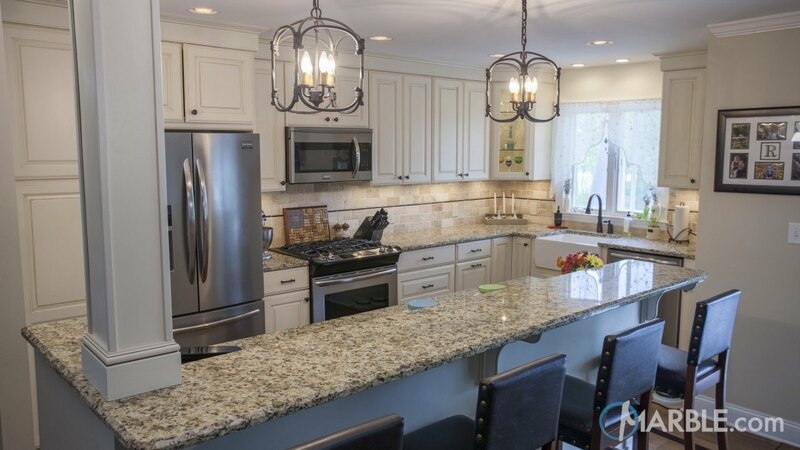 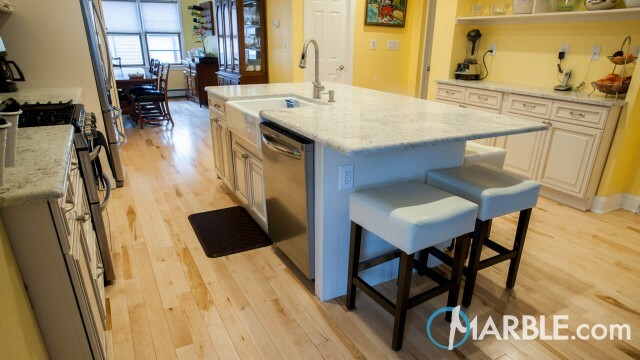 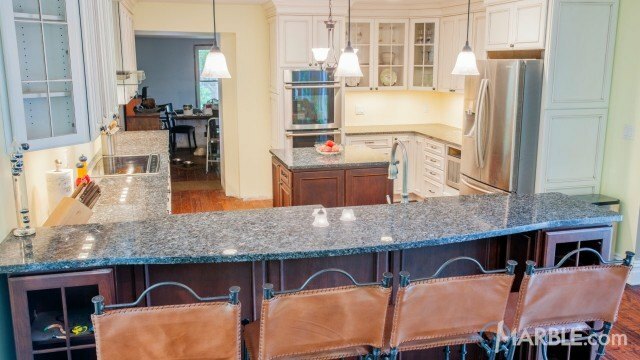 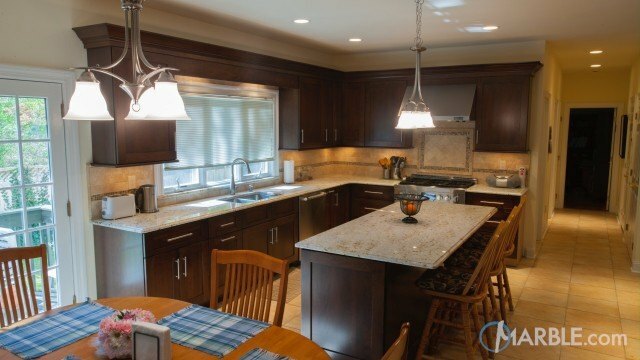 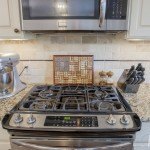 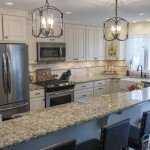 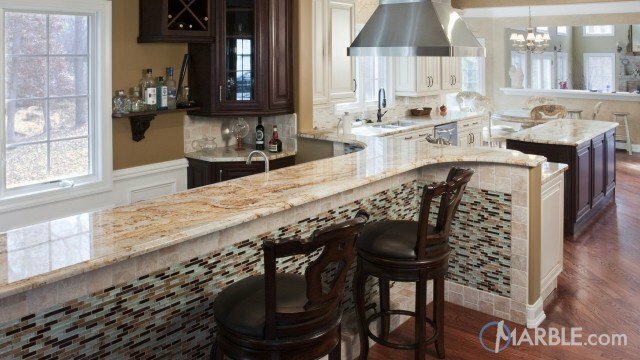 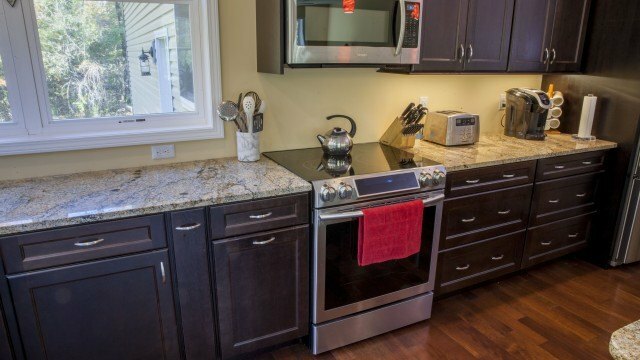 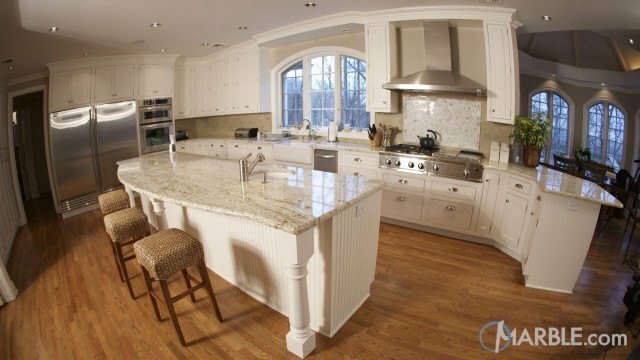 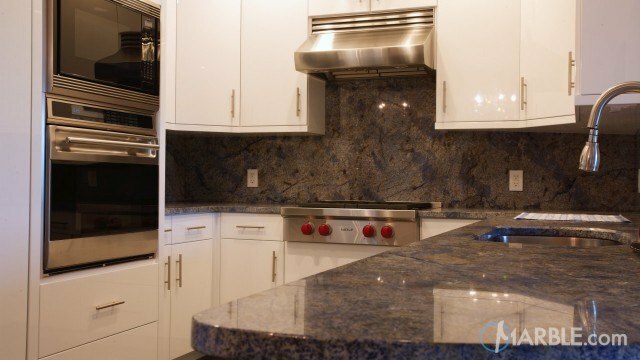 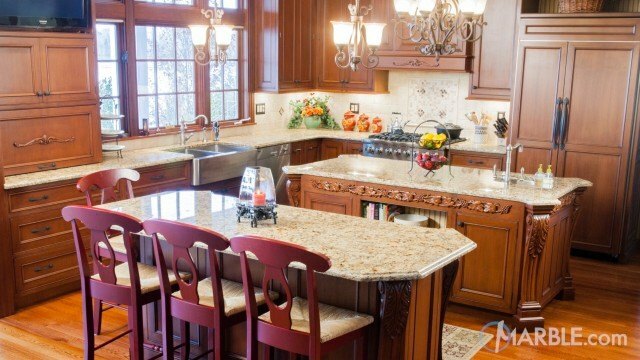 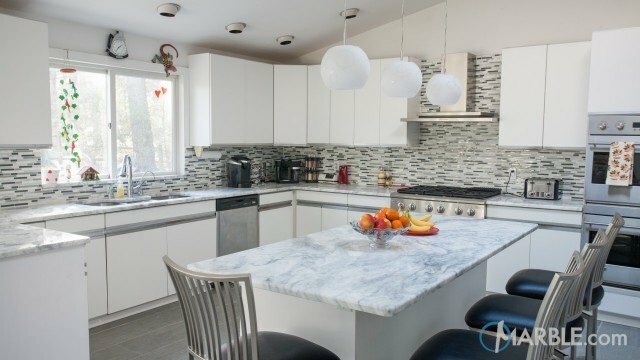 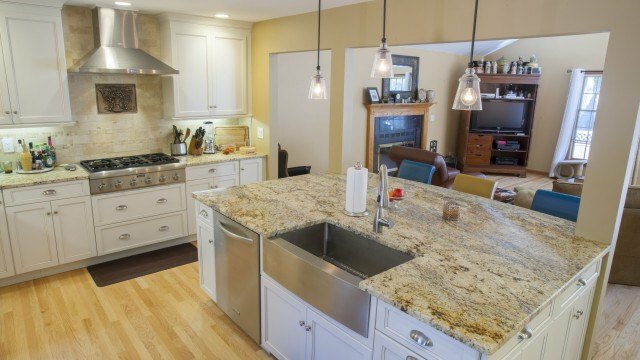 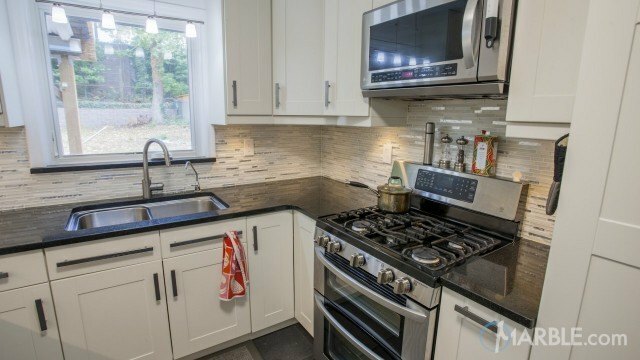 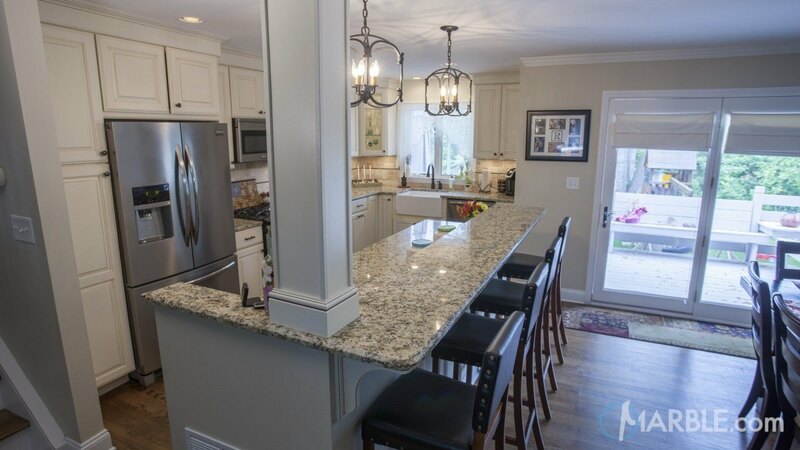 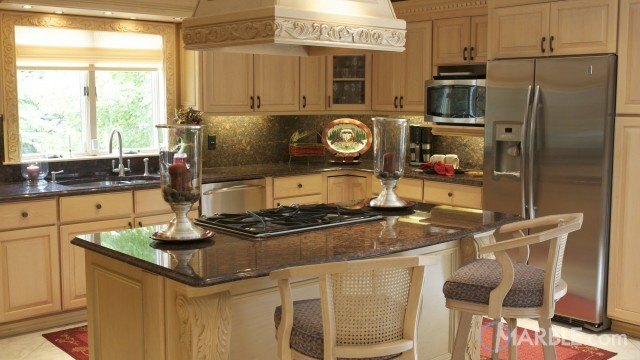 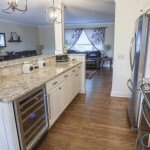 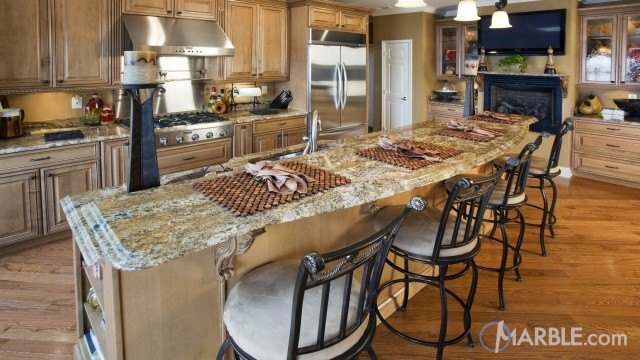 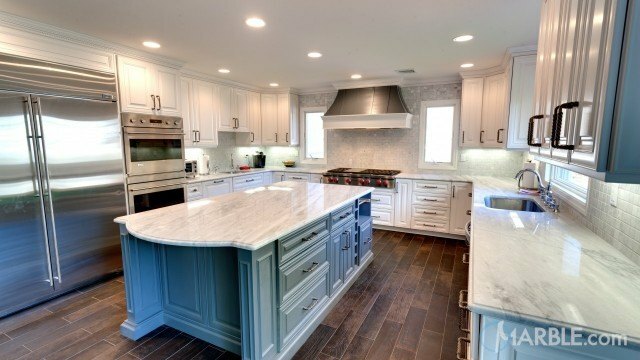 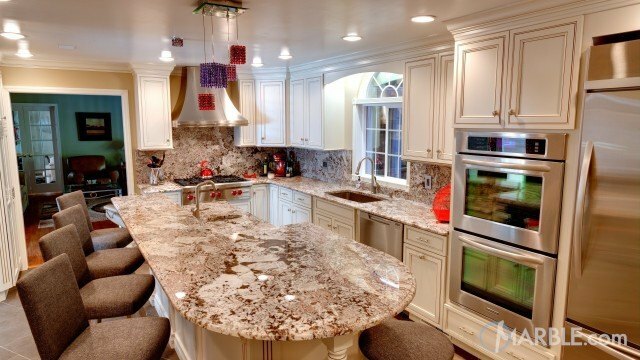 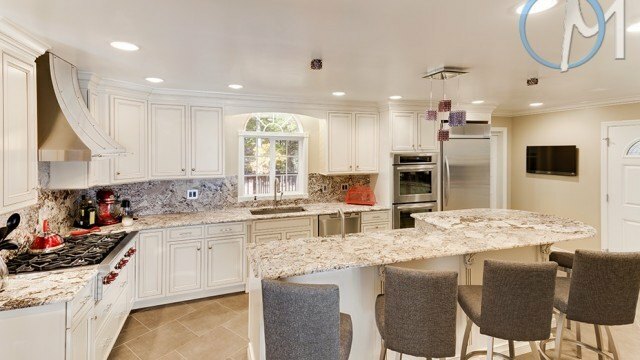 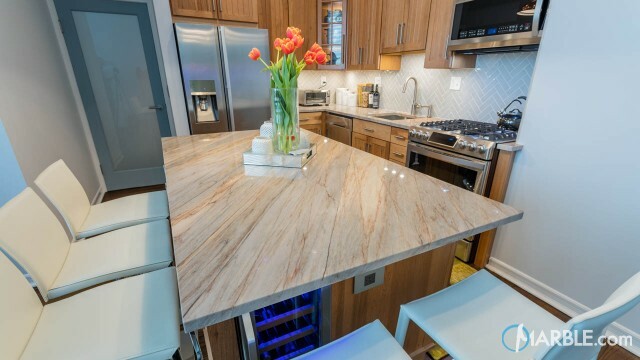 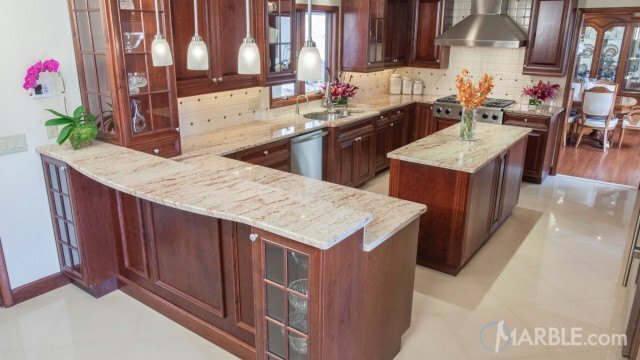 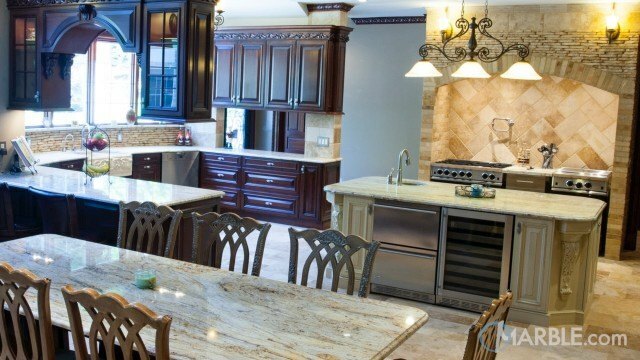 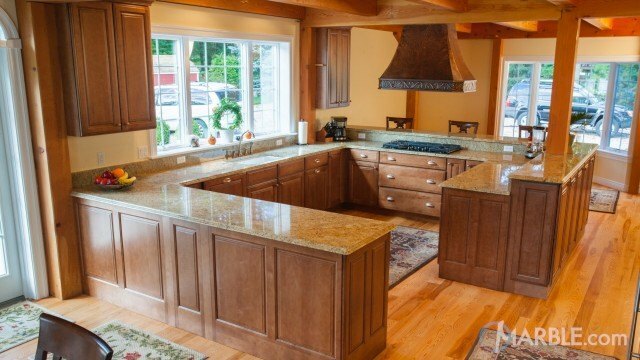 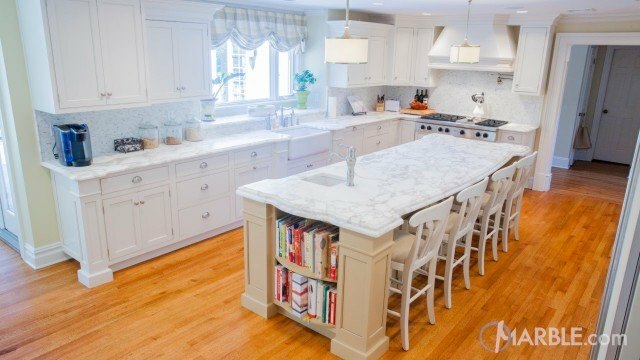 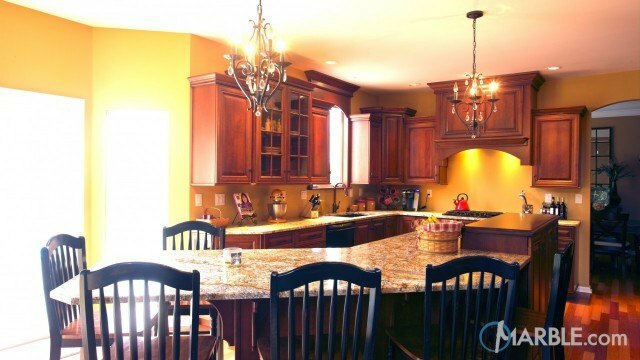 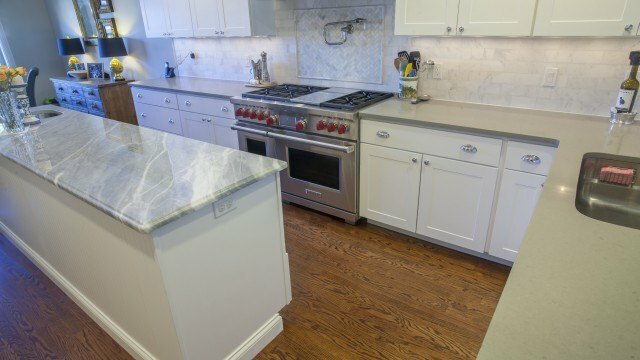 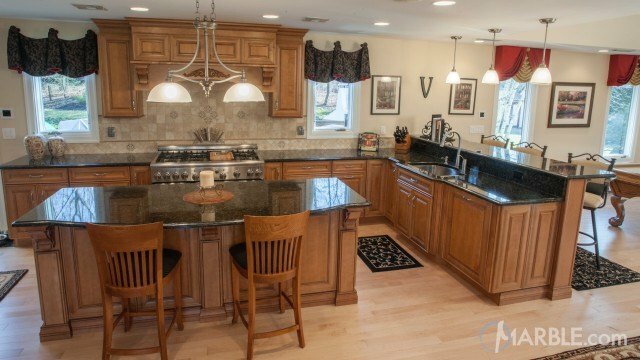 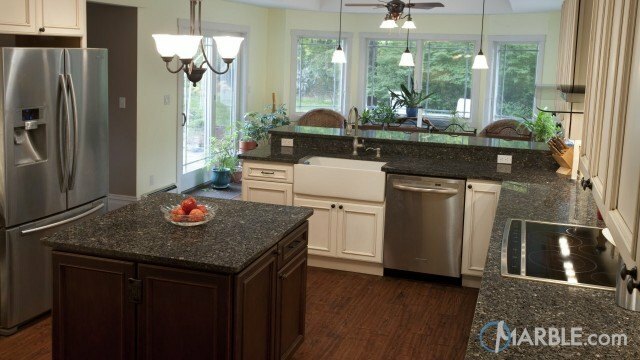 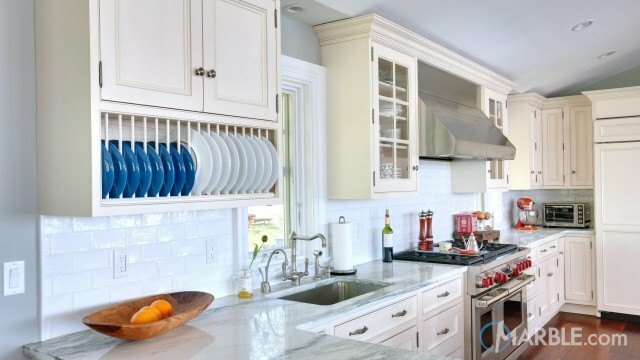 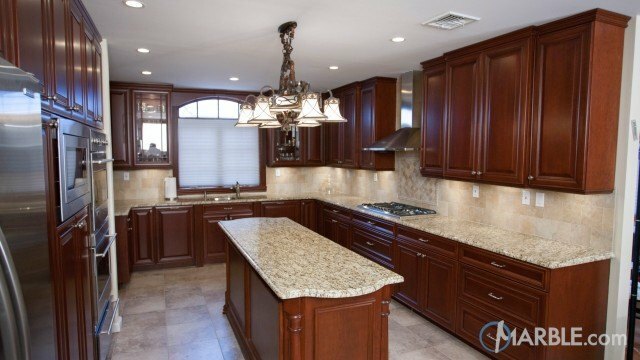 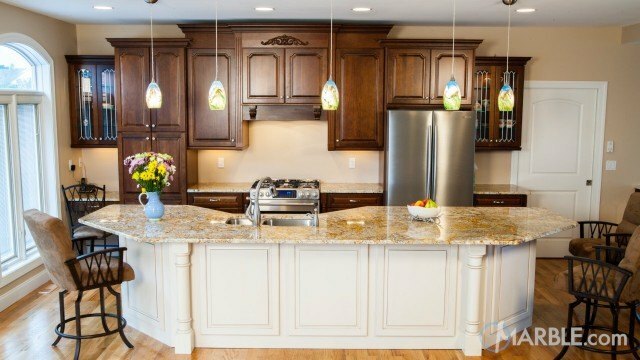 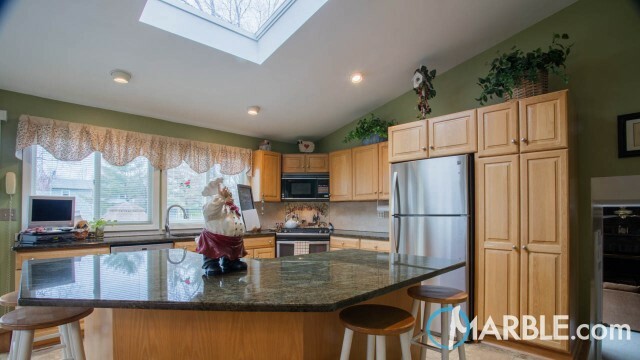 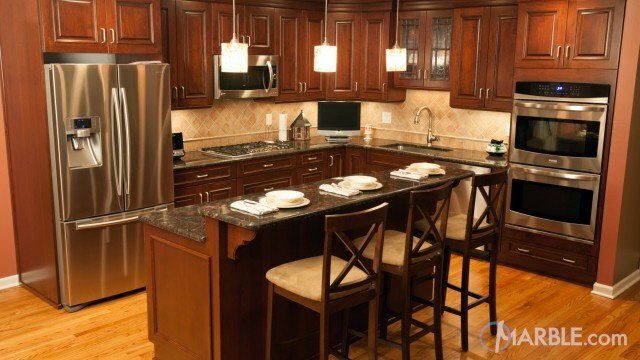 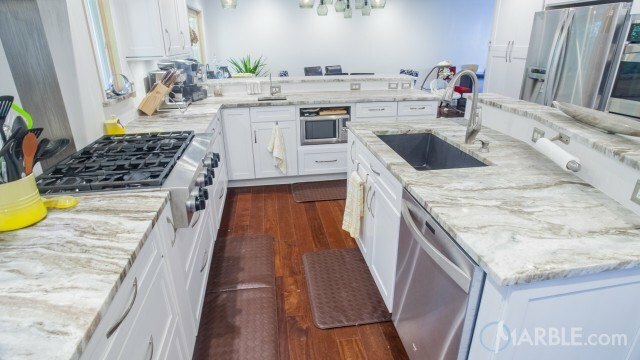 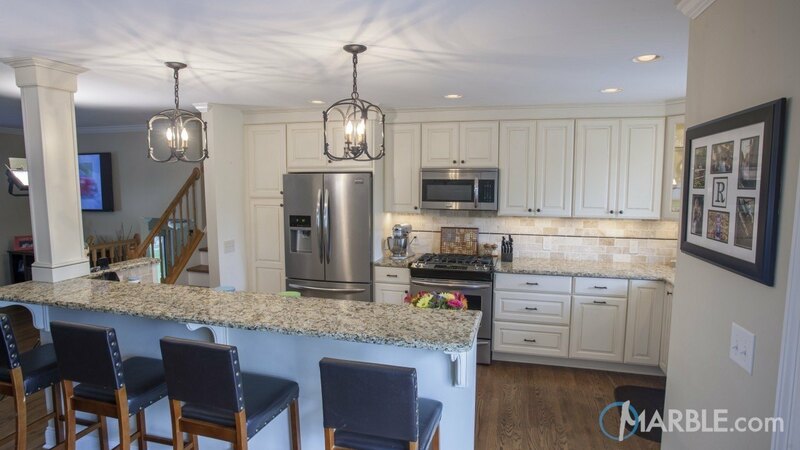 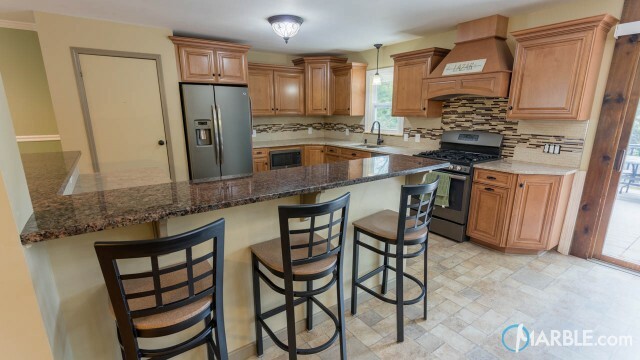 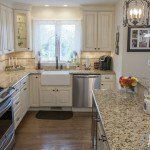 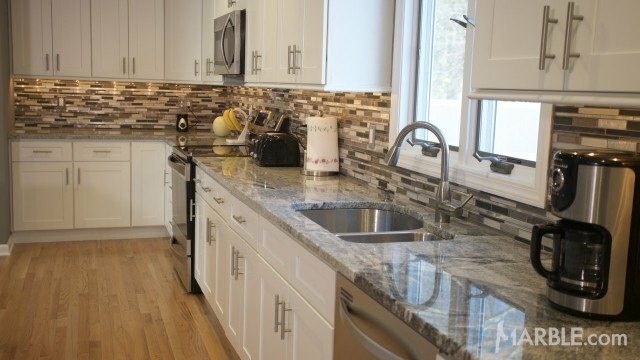 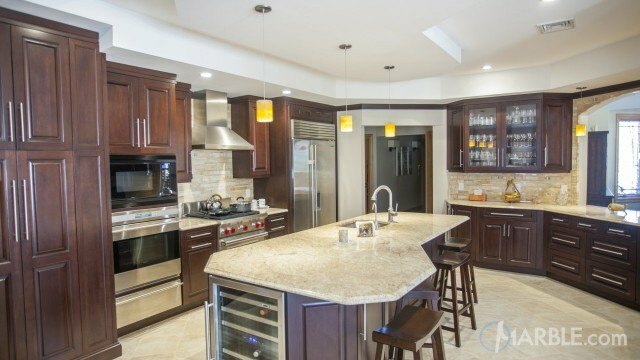 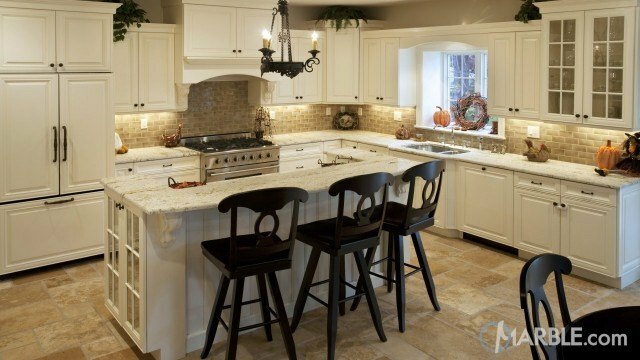 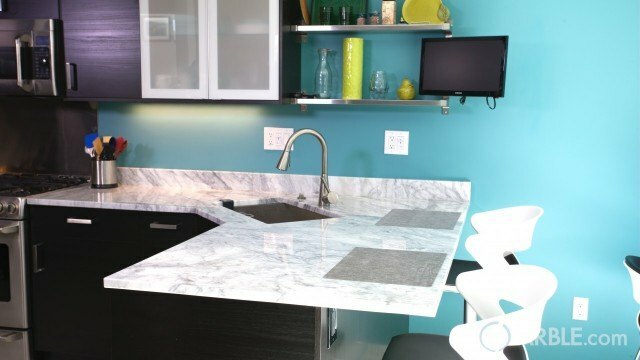 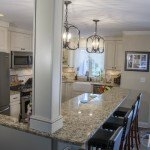 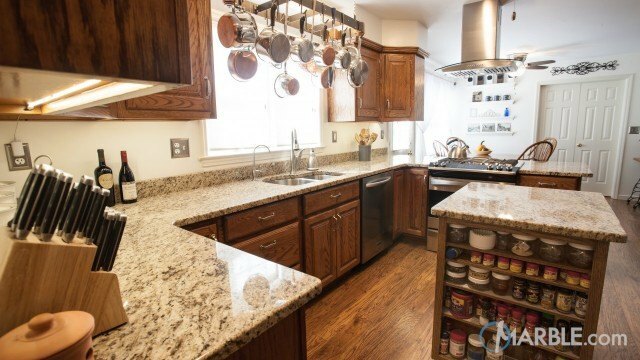 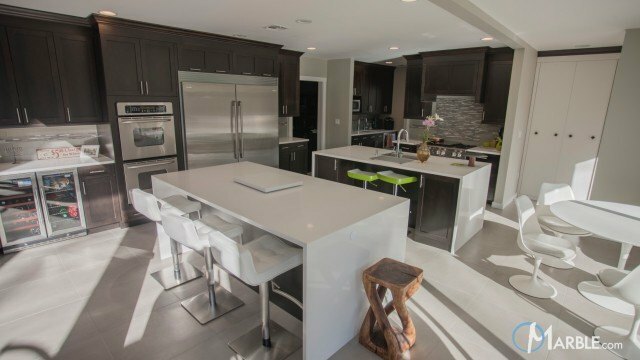 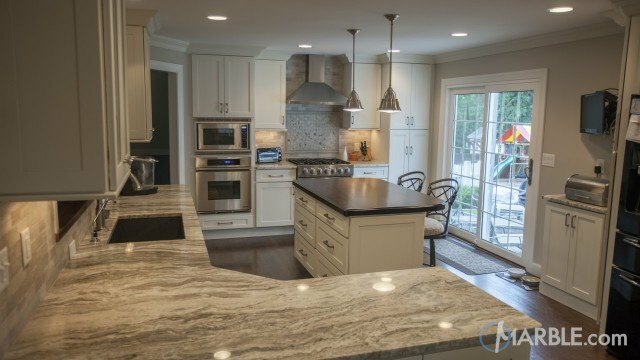 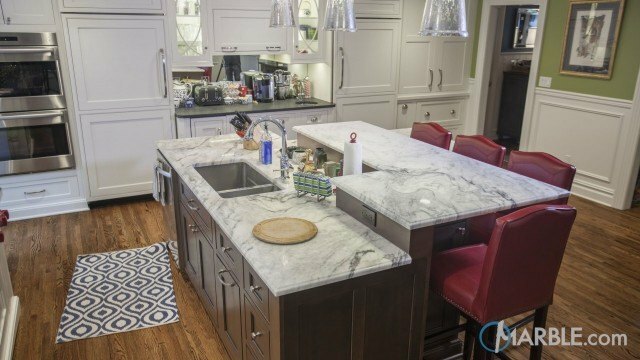 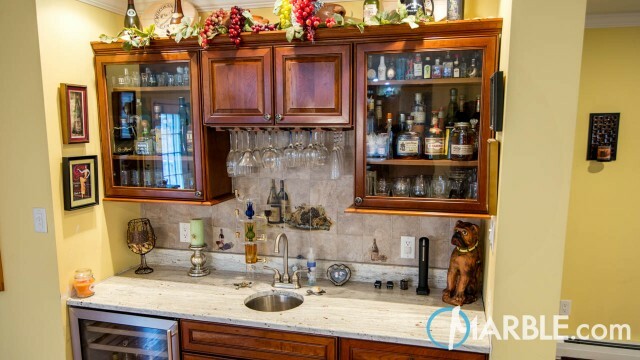 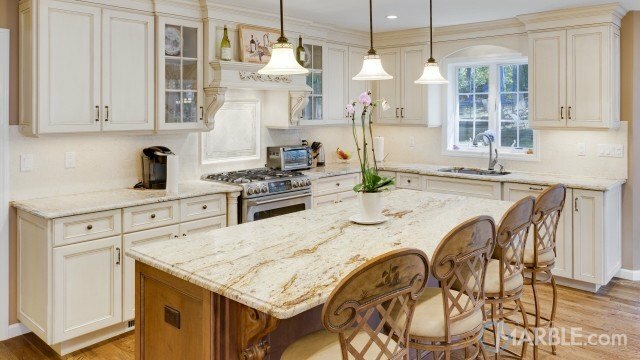 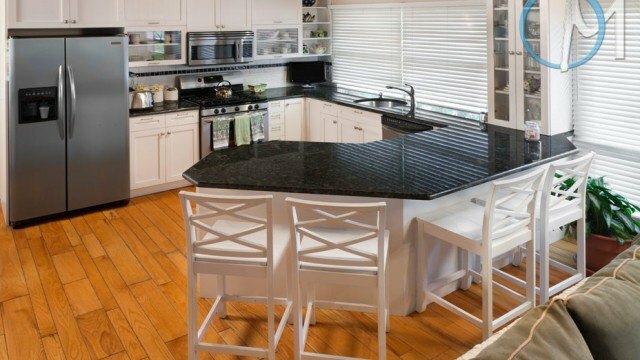 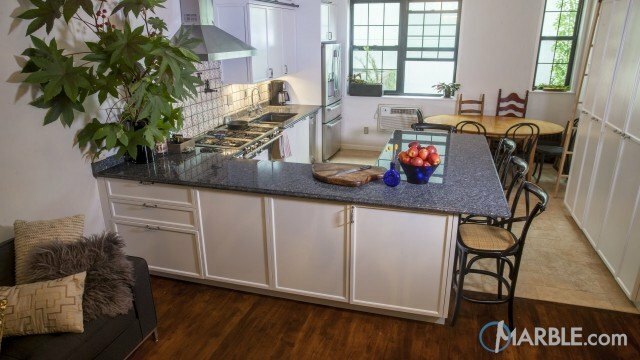 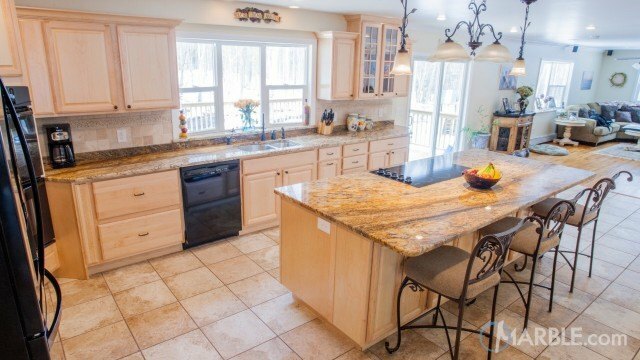 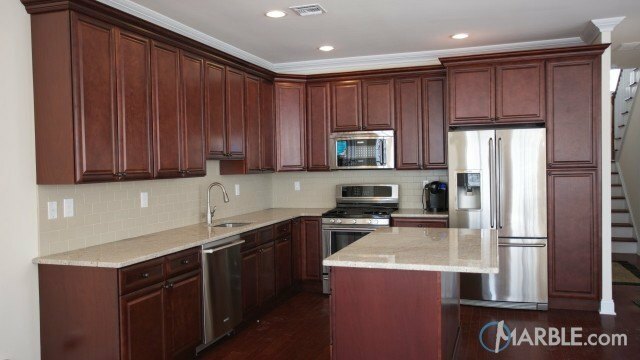 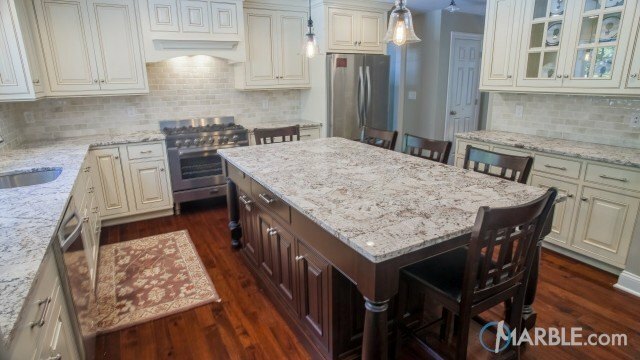 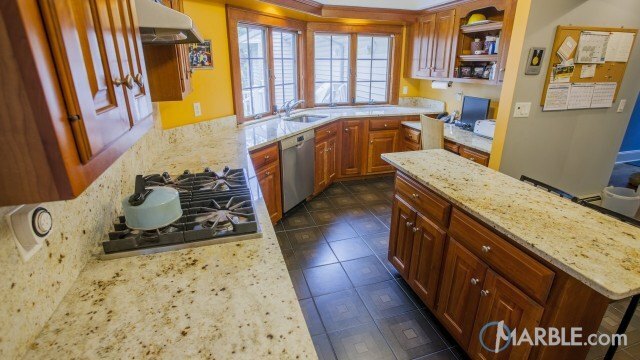 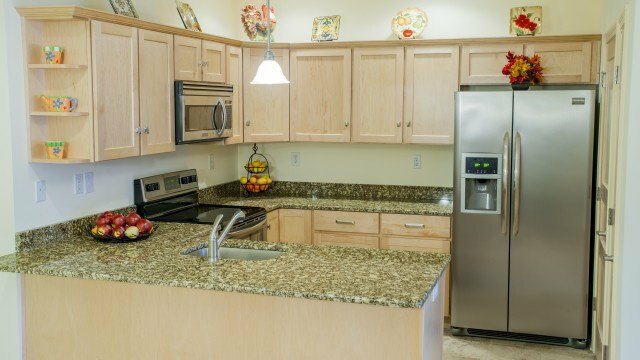 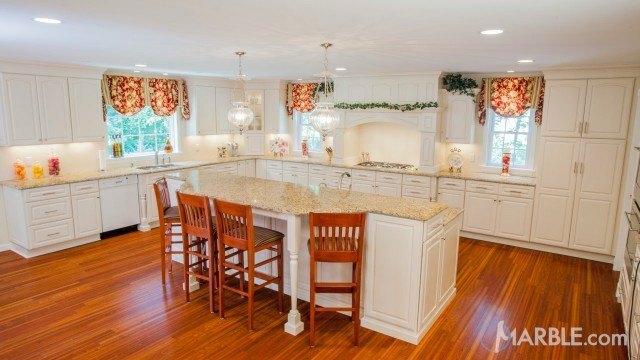 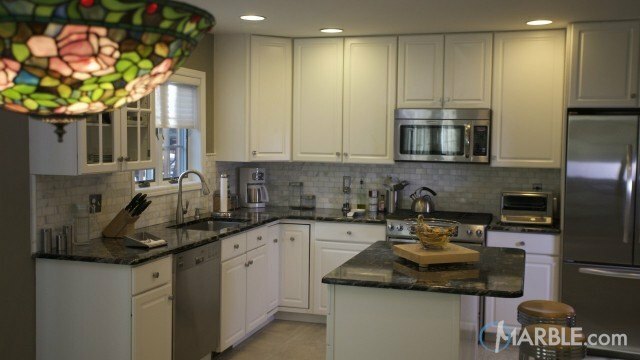 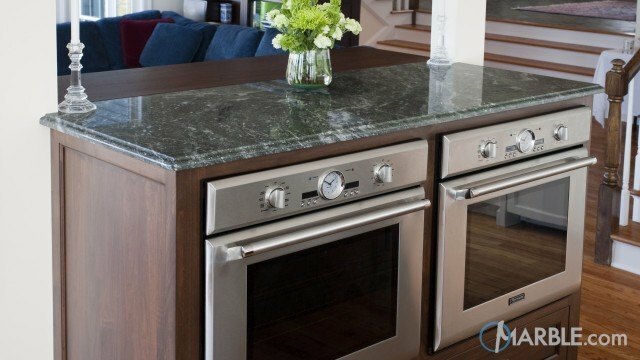 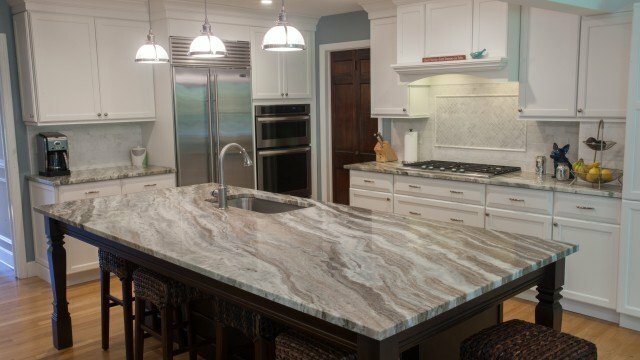 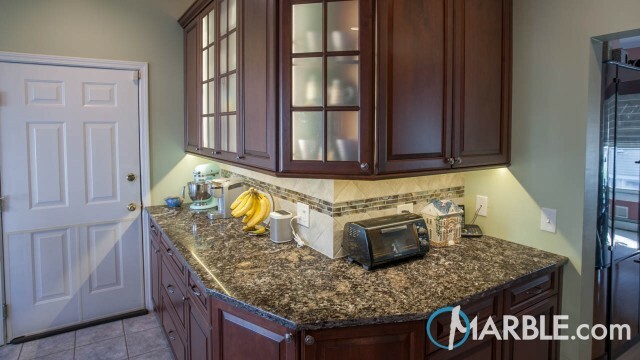 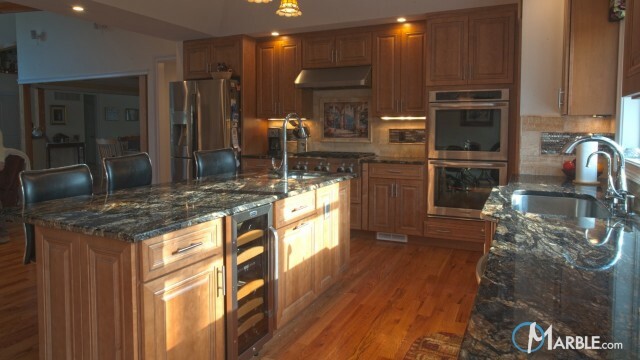 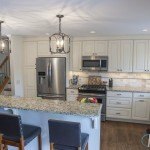 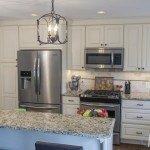 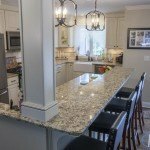 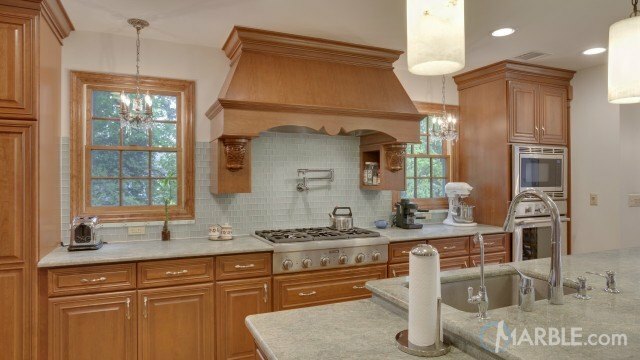 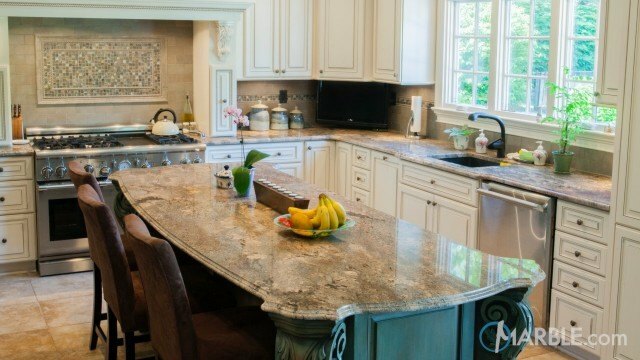 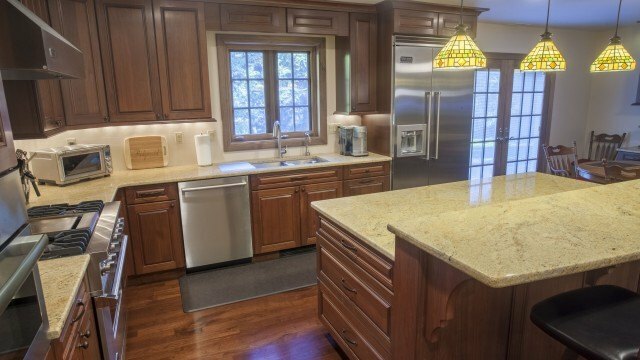 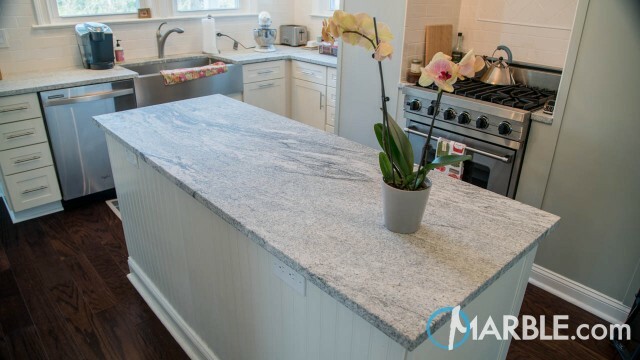 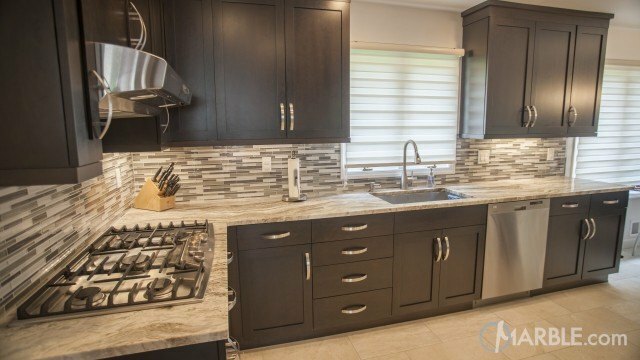 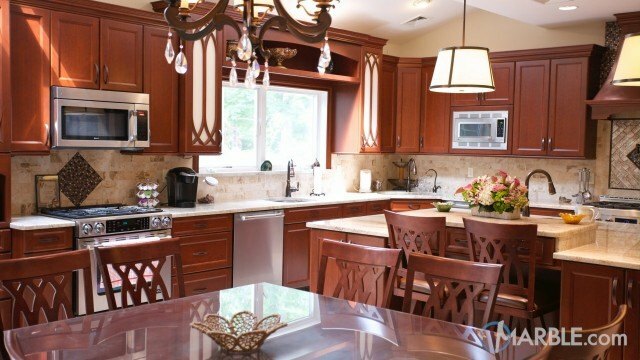 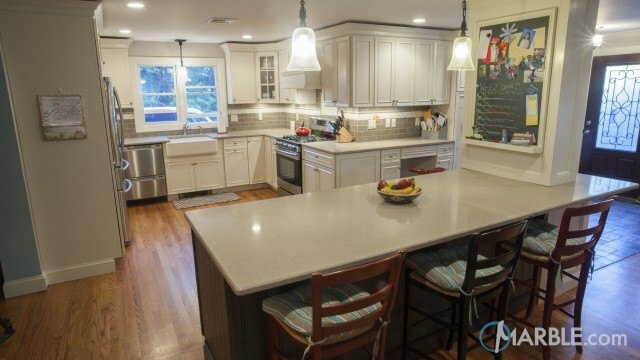 Utilizing kitchen space can be a challenge but not for this homeowner. 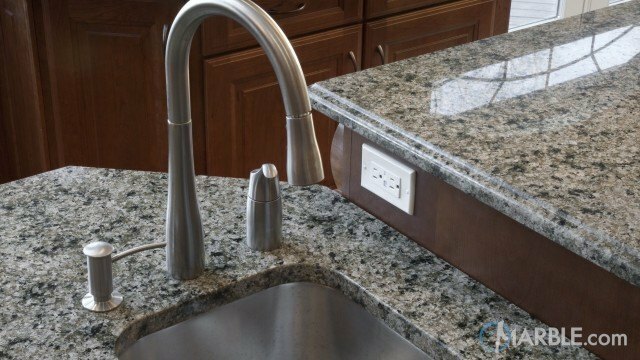 The double tear counter space allows separation for food prep and consumption. 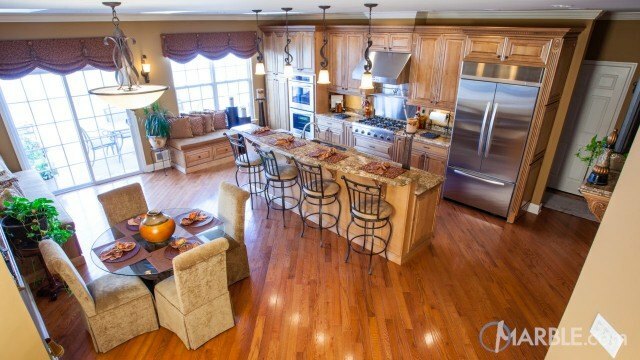 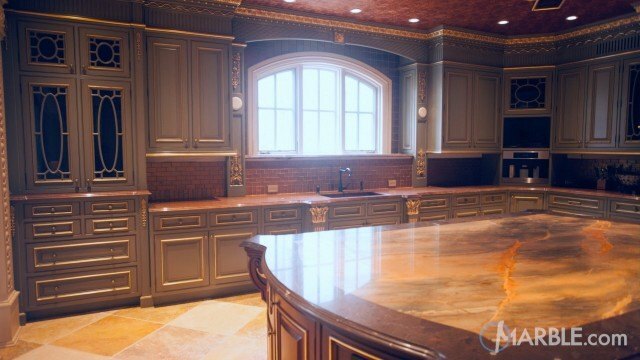 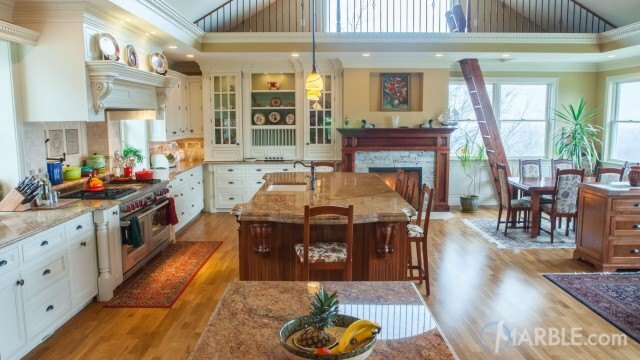 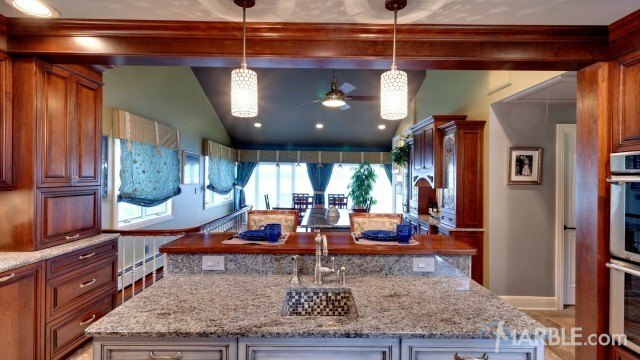 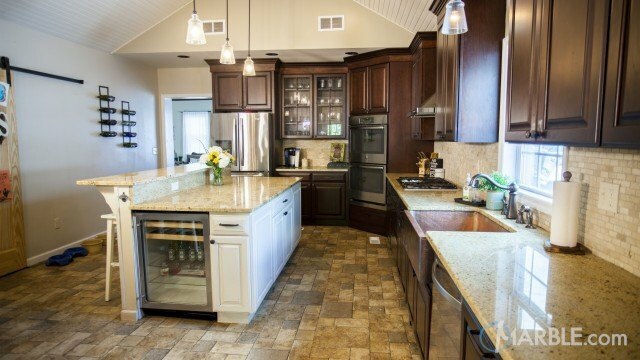 Serving and cleaning up will be a breeze with this open kitchen layout. 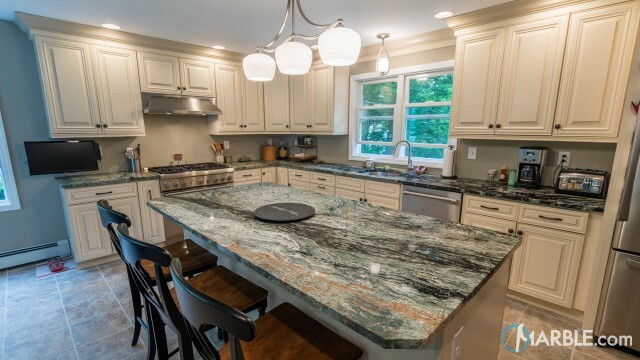 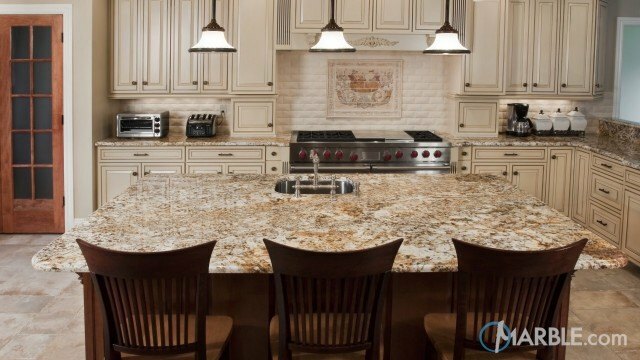 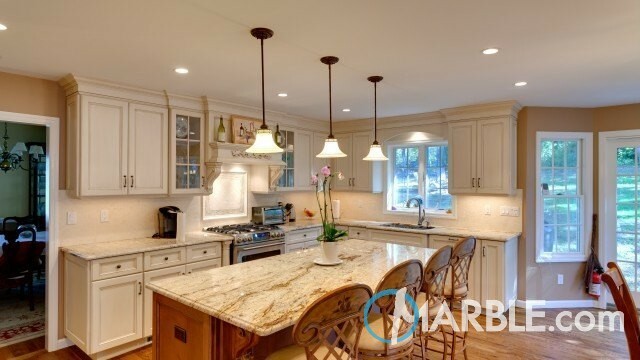 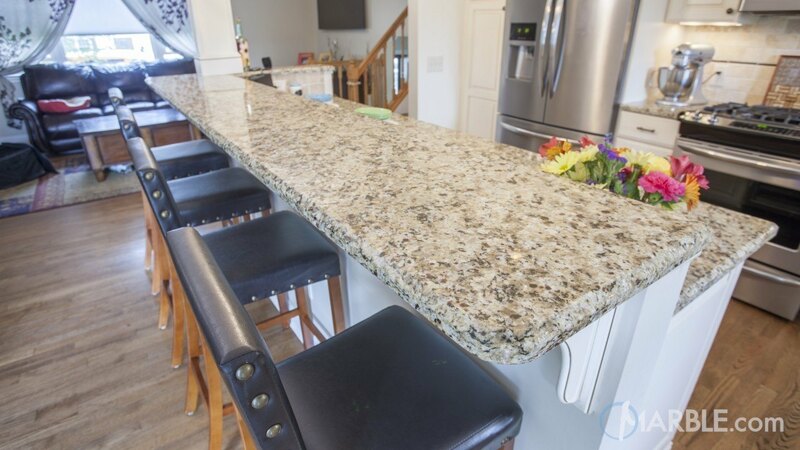 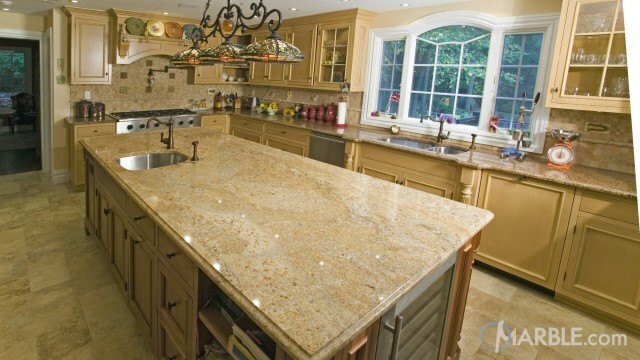 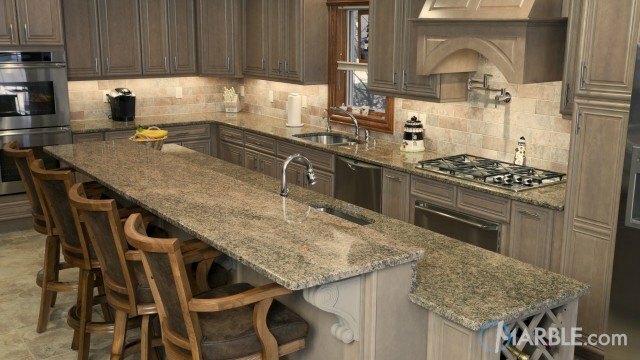 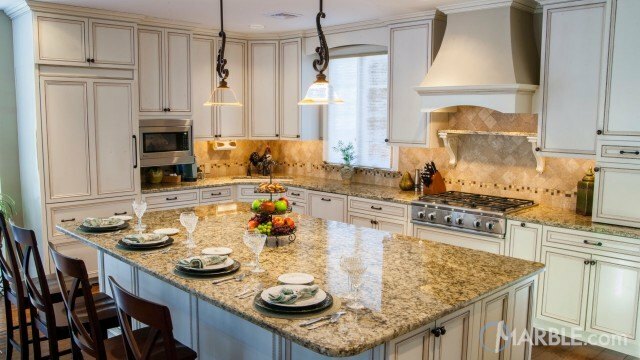 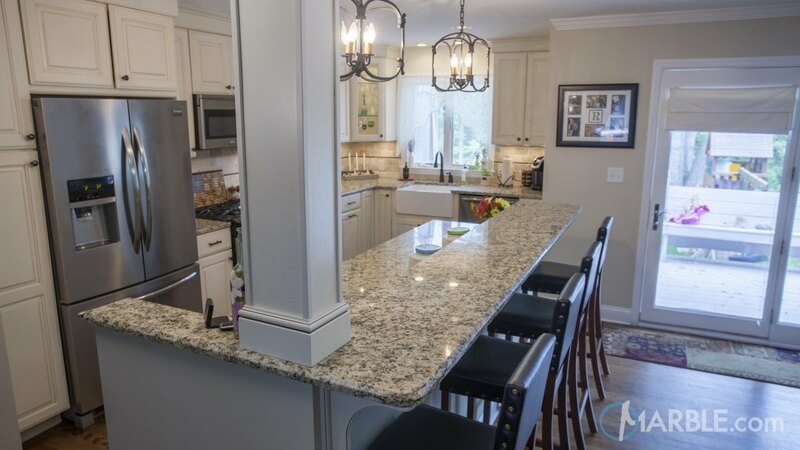 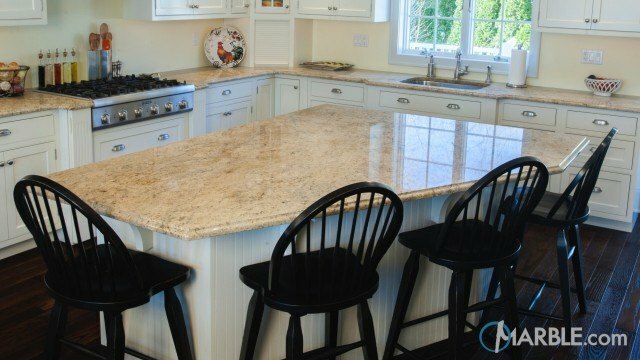 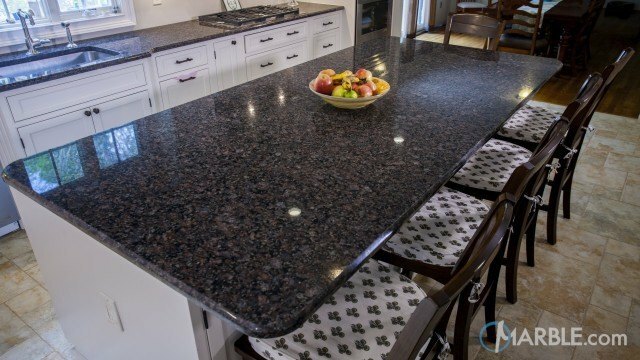 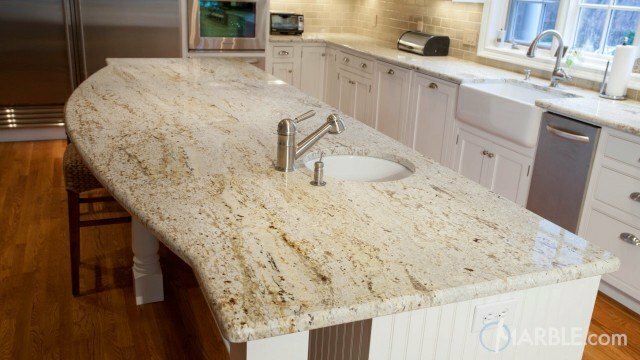 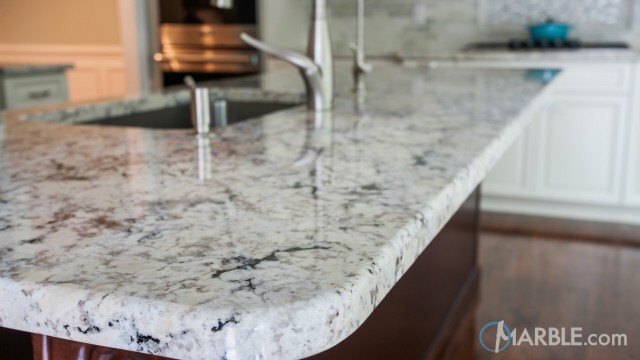 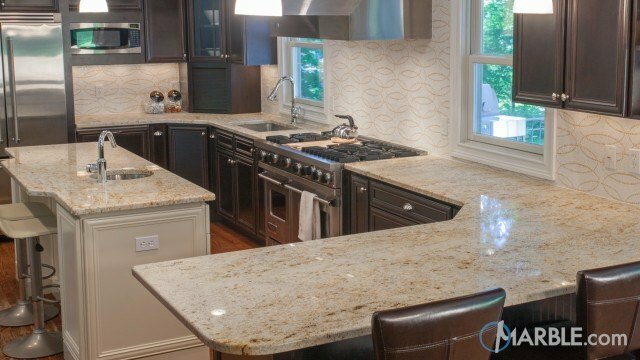 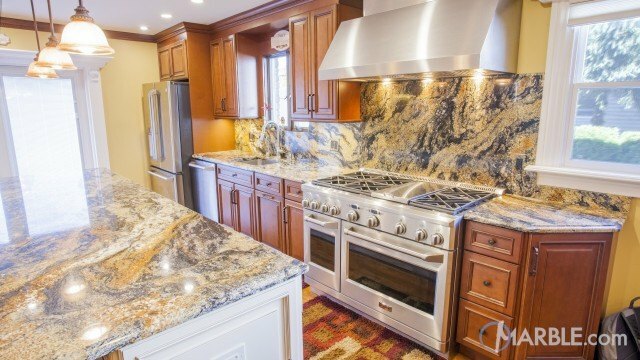 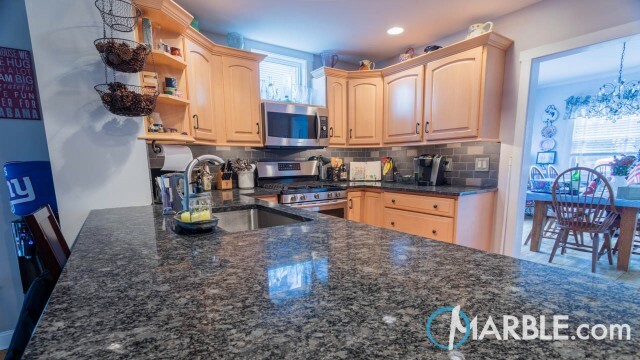 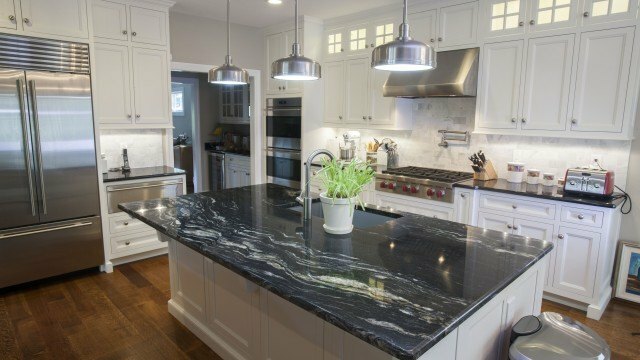 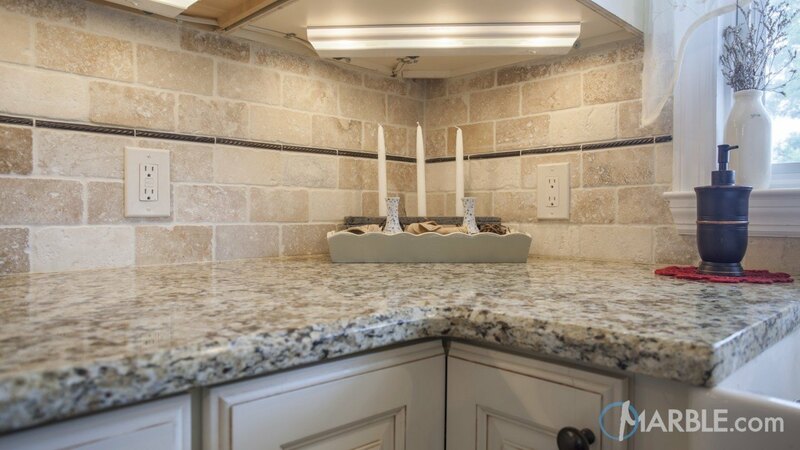 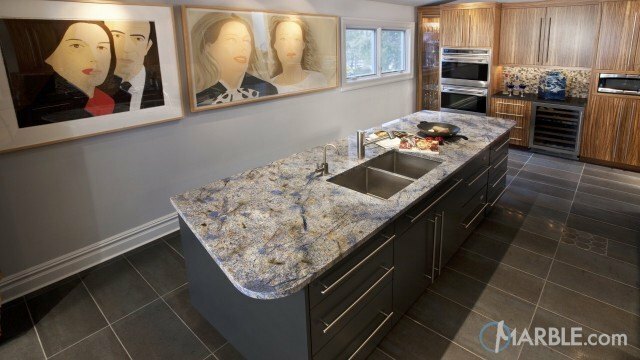 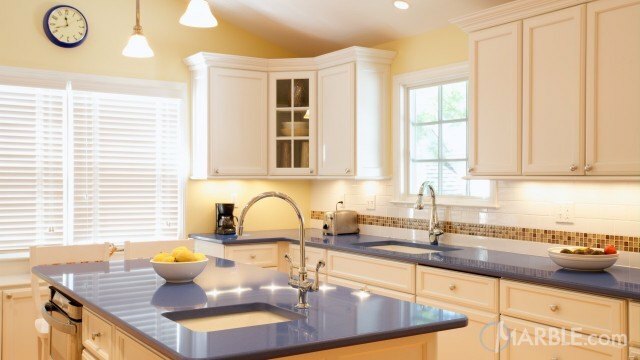 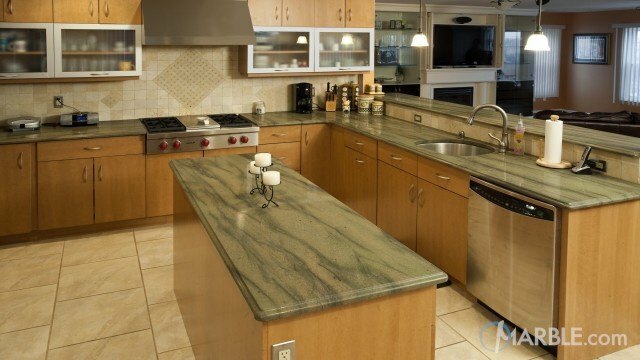 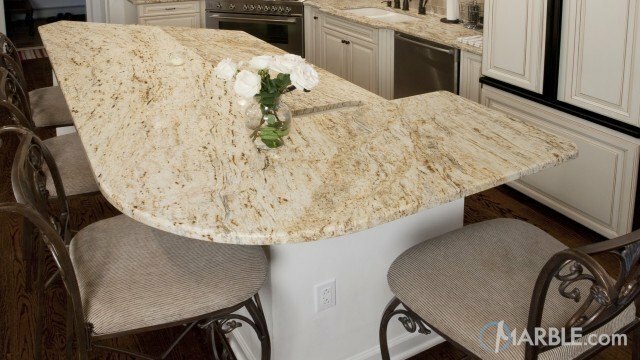 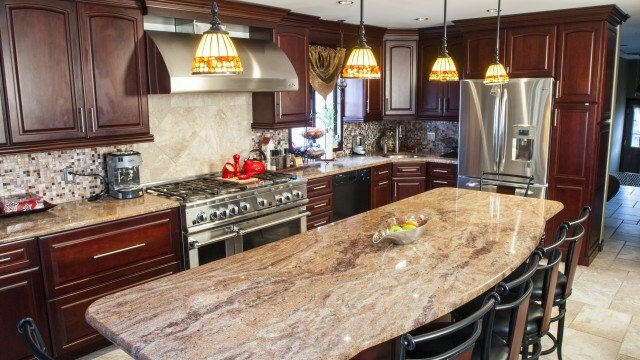 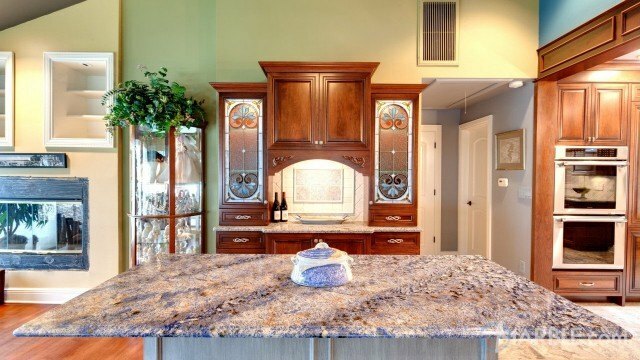 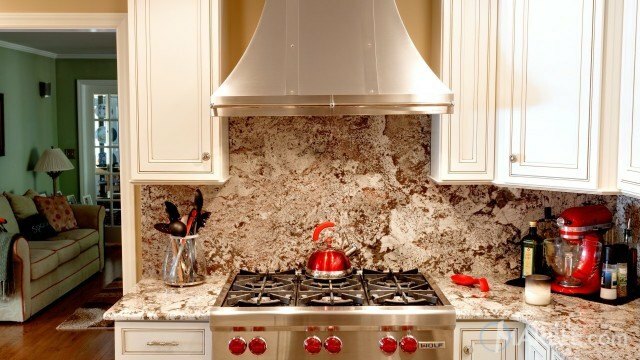 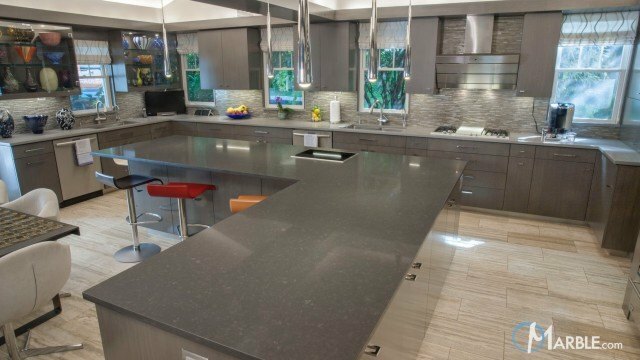 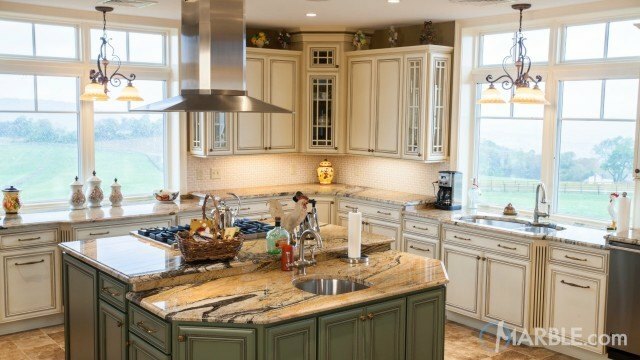 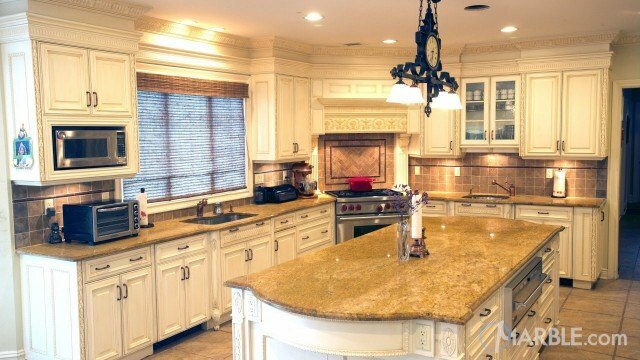 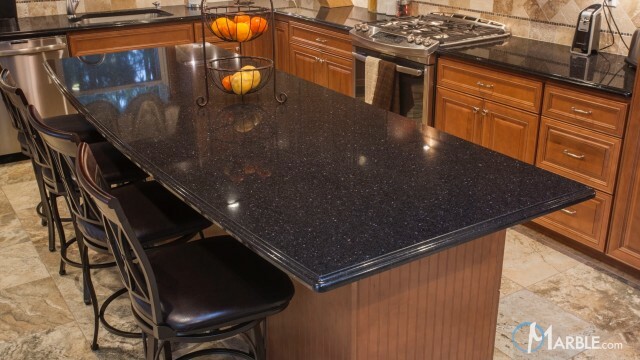 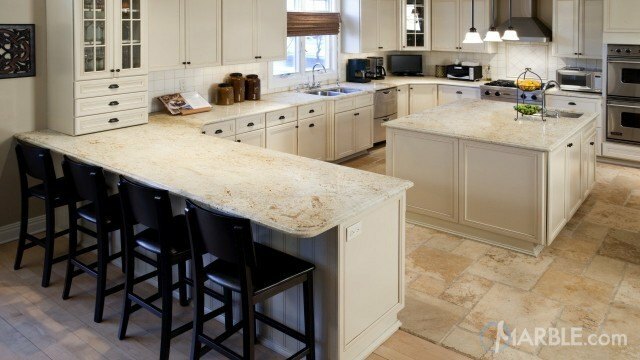 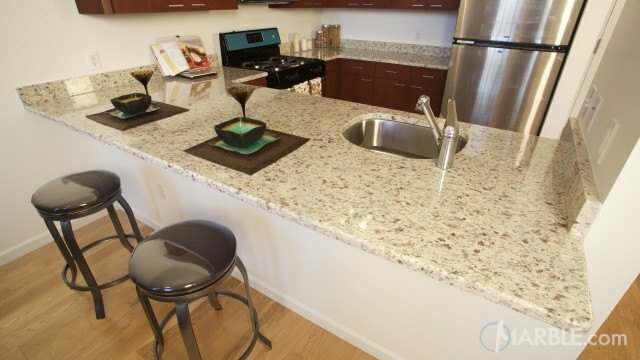 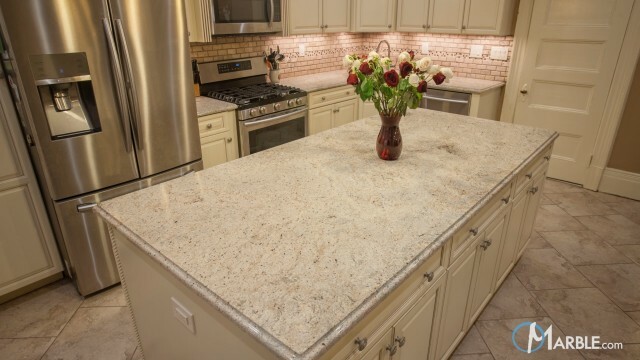 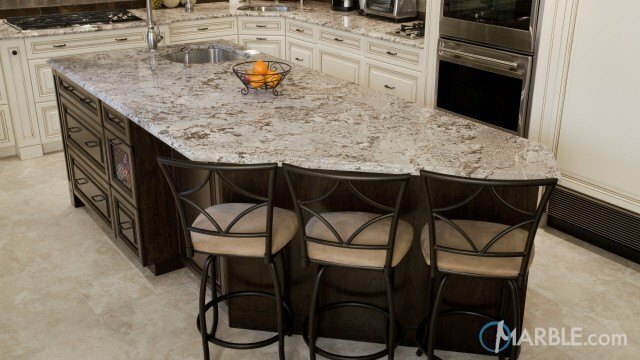 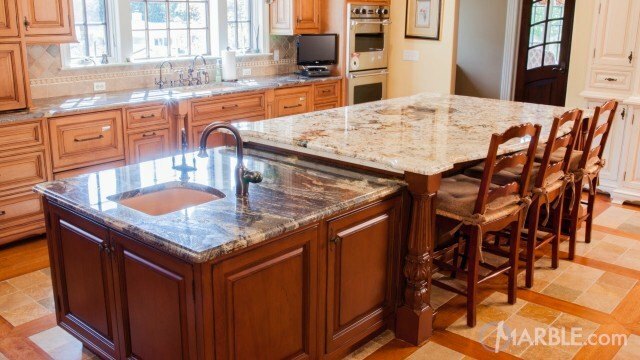 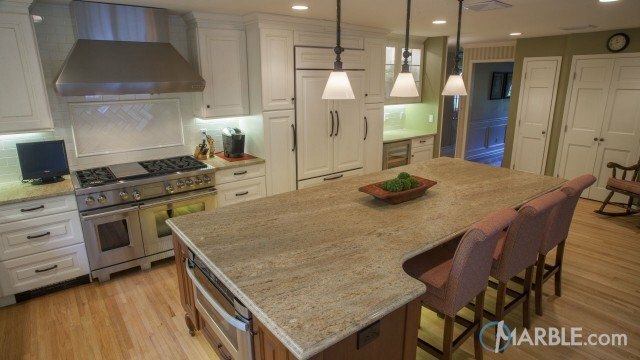 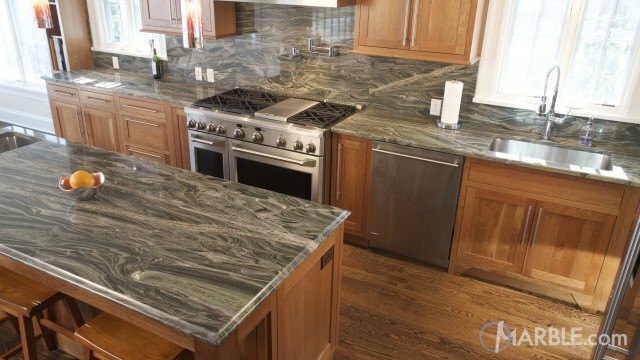 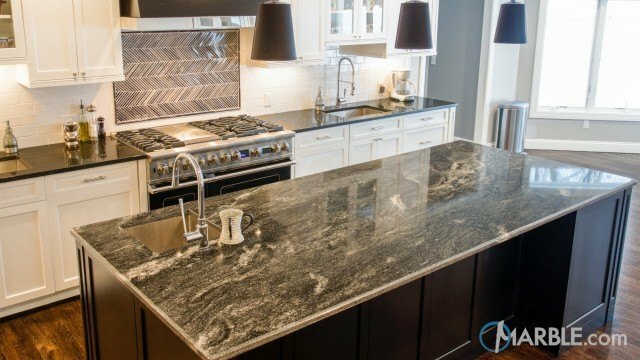 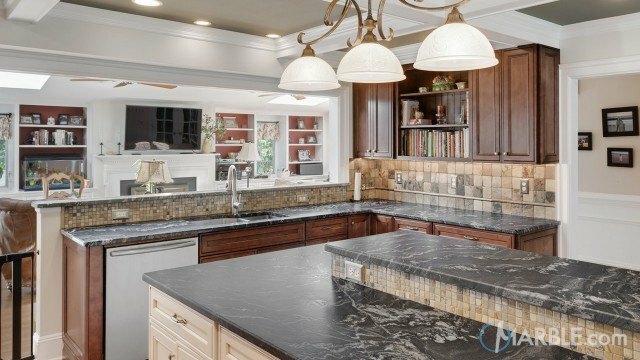 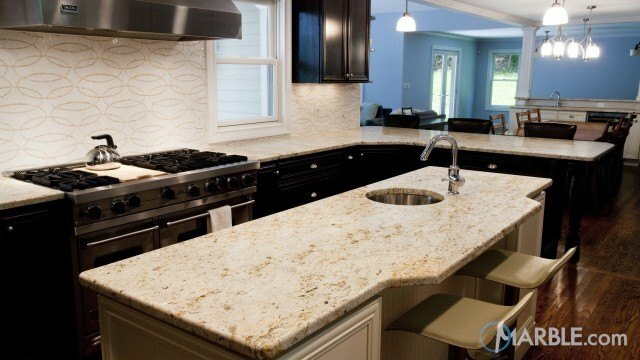 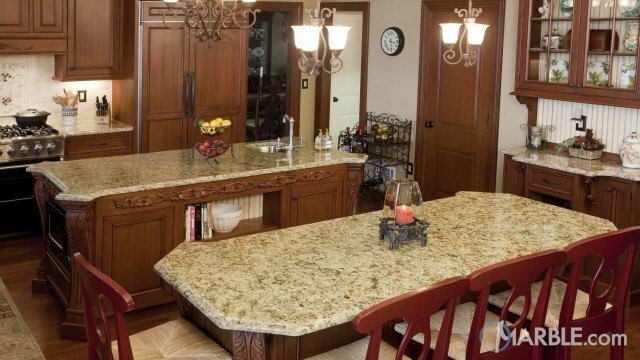 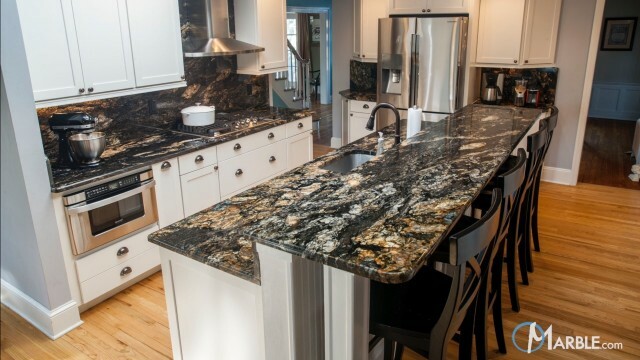 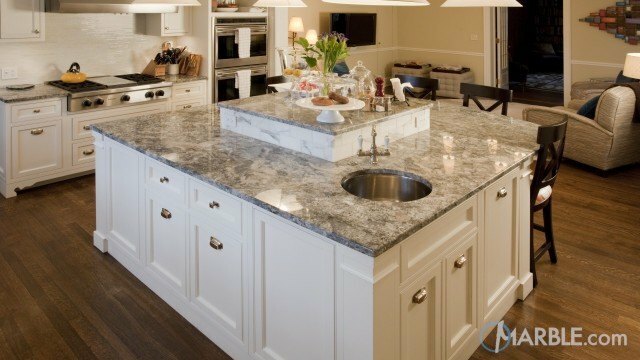 The Giallo Napole granite with its light colors help to keep the kitchen space feeling large, open and inviting. 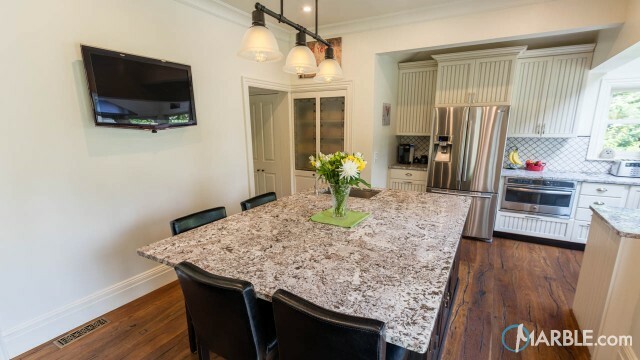 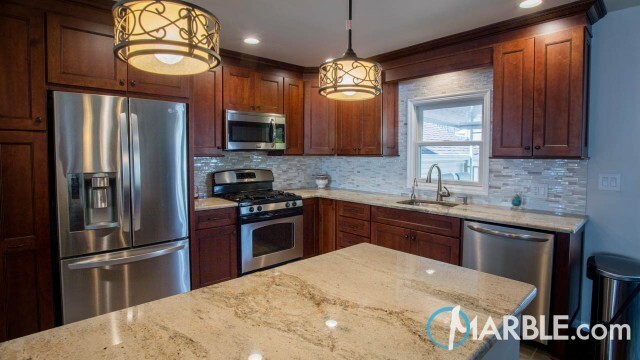 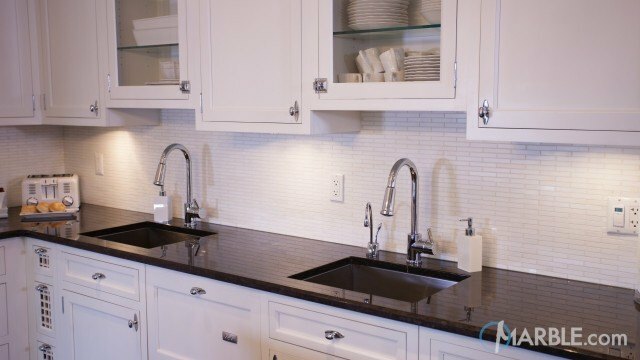 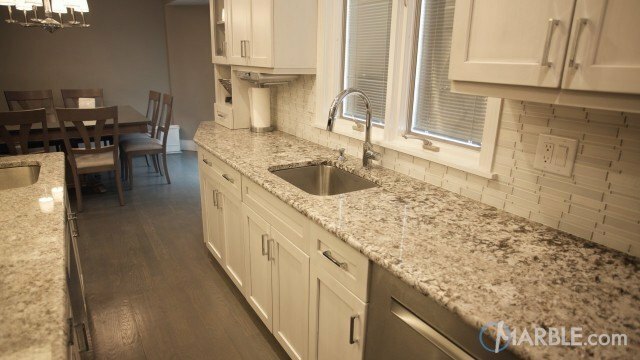 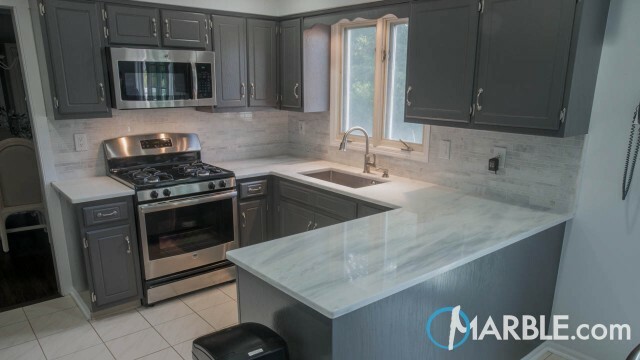 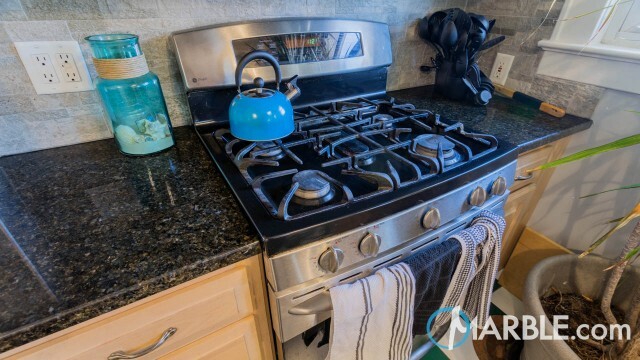 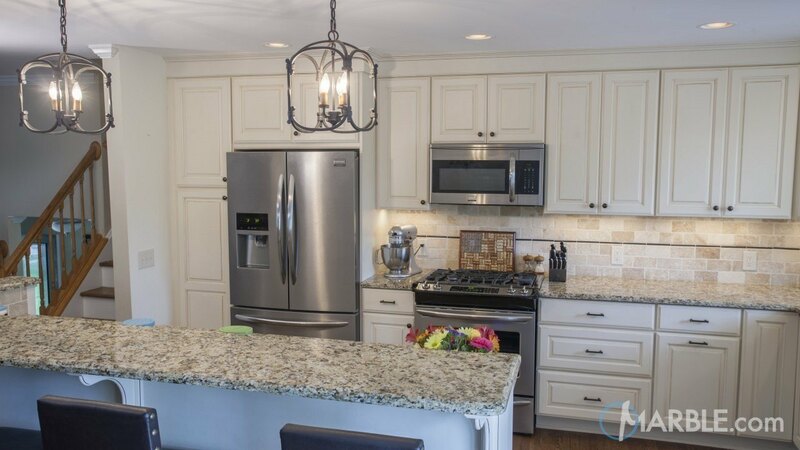 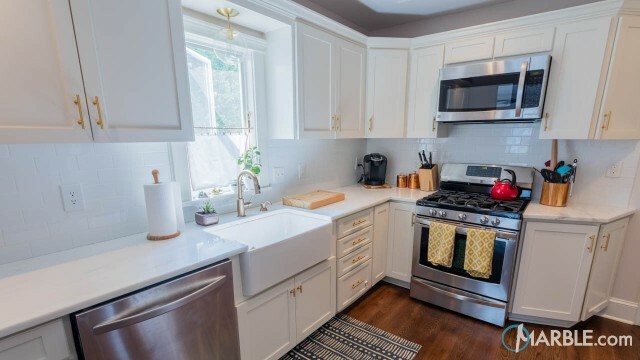 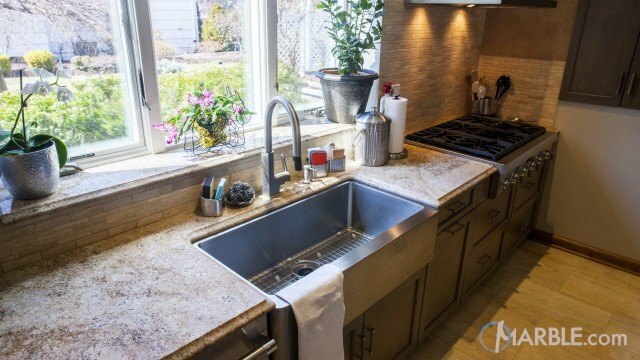 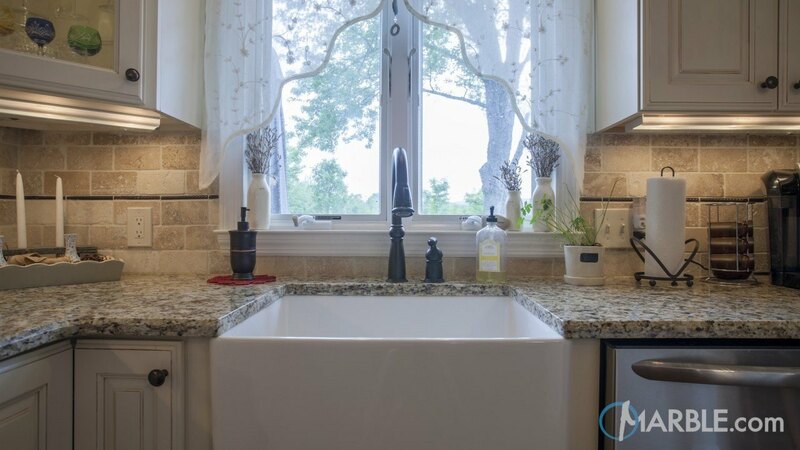 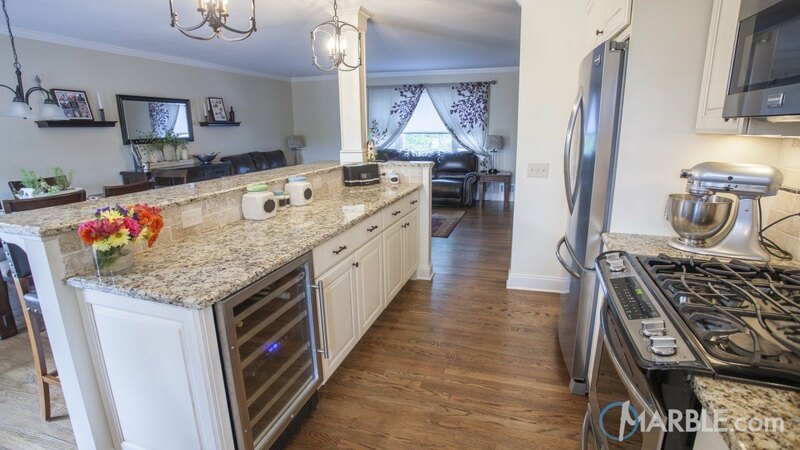 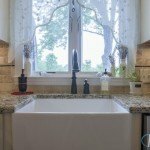 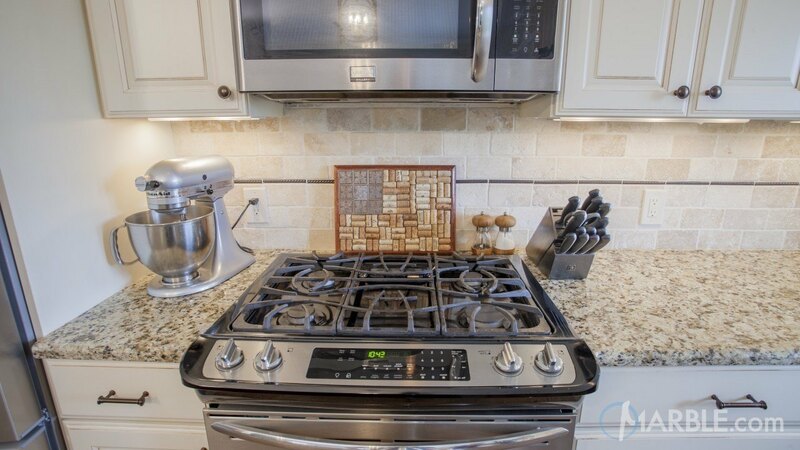 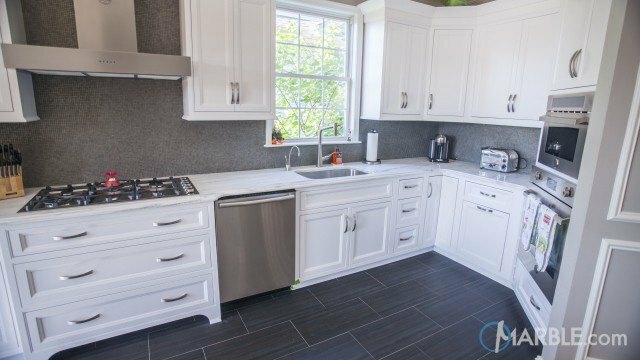 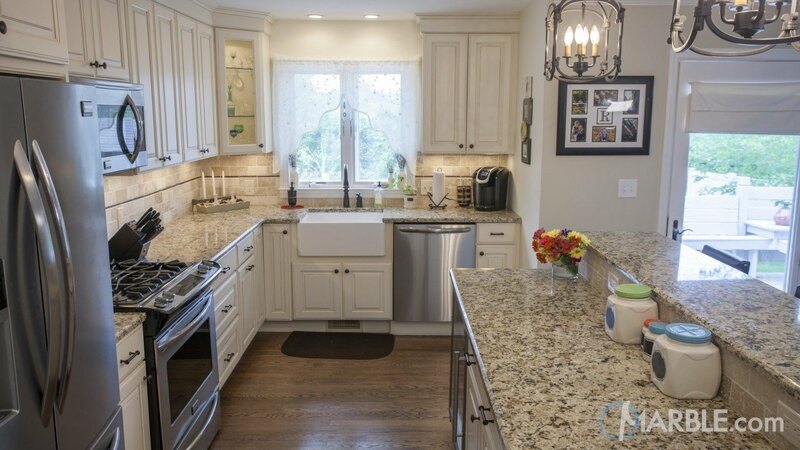 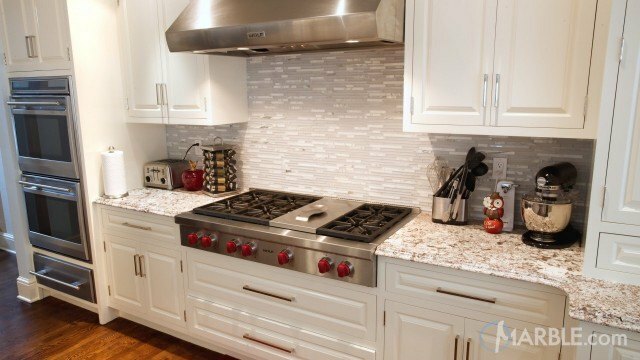 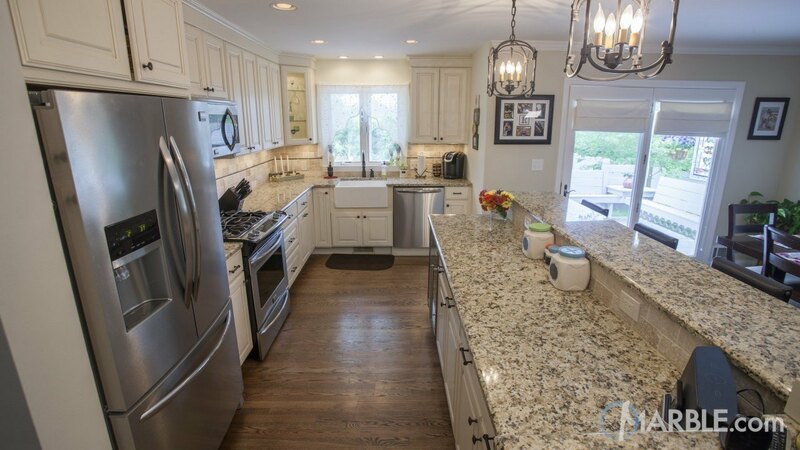 Using stainless steel appliances with a large farm sink adds to this kitchen's appeal.